Coming soon from Joimove in Kaunas, Lithuania is a wonderful workshop on joyful parenting! Joimove’s Founder, author of the Joyfulness Method Selen Yilmaz, will be joining Joimove Representative and Dance Therapy Consultant Rūta Ambrozaitienė to help with the everyday parenting challenges. In our everyday lives, we parents carry the responsibilities of being an adult, partner, colleague, child, grandchild, sibling alongside our parenting role. We have so many titles and identities to deal with even it does not seem like that. Our communication styles and responses can become repetitive even when life continuously brings us new challenges. We may start to become tired and struggle to find enough time for ourselves, our friends, and our extended families. Joyfulness can help! Keeping a joyful perspective can transform many conflicts into resolutions. It can bring so much joy into our homes and help us reorder our priorities with ease. In this workshop, parents will reexamine the roles they play in their children’s lives and will discover how children can be perfect roles models for us. You will leave this workshop with the practical tools and activities you need to bring playfulness and joyfulness into your family life. 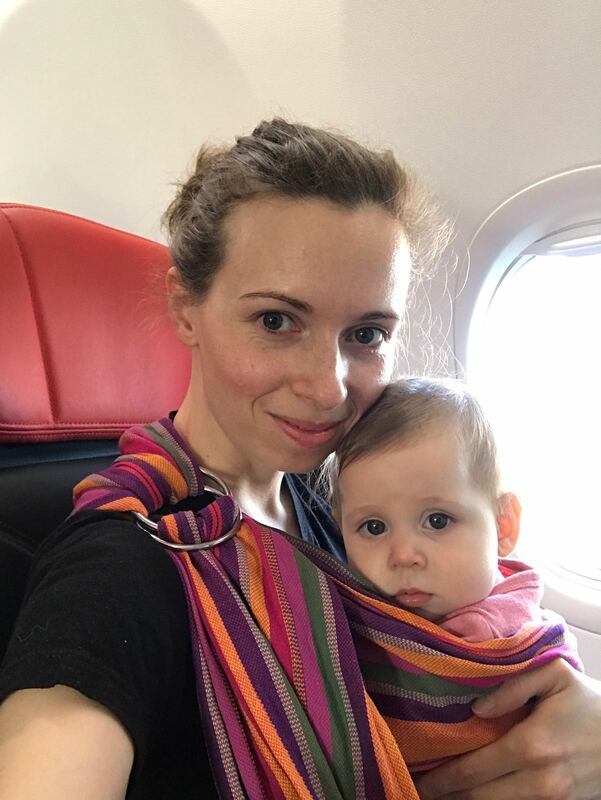 Selen Yilmaz is a professional ballerina, dance academic and author of “The Joyfulness Method”, babywearing consultant, and the founder of Dance with Babies and Joimove International. New for 2019! Meet Joimove’s Founder for a one-on-one intro to Joimove! Selen Yilmaz will be holding meetings in Berlin, Leipzig, London, Vilnius, Istanbul and Glasgow this spring. Contact us at training@joimove.com to book your time slot with the founder! Take the chance to dance and start your journey towards a more joyful life! Join us for two amazing days of training, workshops, community building, and fun! 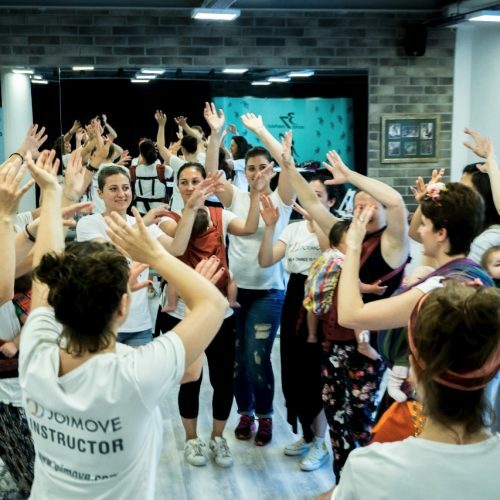 Jump start your learning, plan for the future, and further your skills at Joimove’s first live training event of 2019 this January in Istanbul, Turkey! 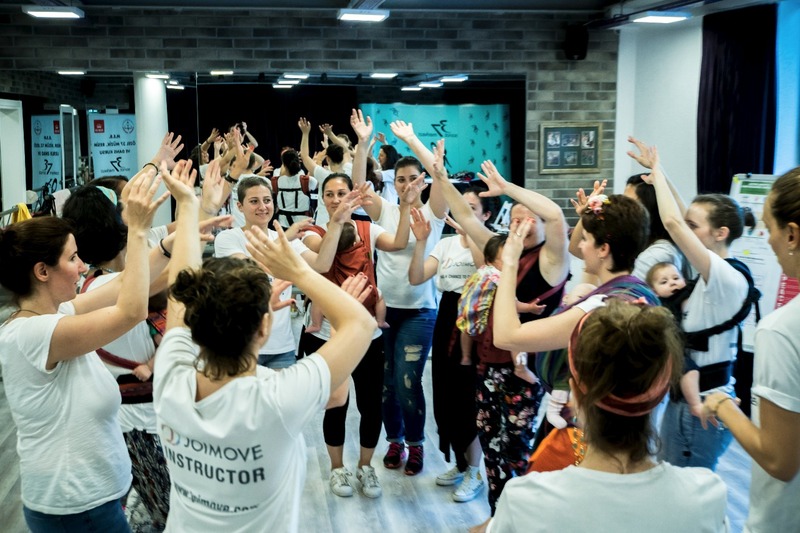 This January, you are invited to join Joimove Instructors and Trainees from Turkey and beyond for an amazing dance leadership training Sunday. Make new friends, share ideas, and get ready for a new career with Joimove! We can’t wait to help you get started! 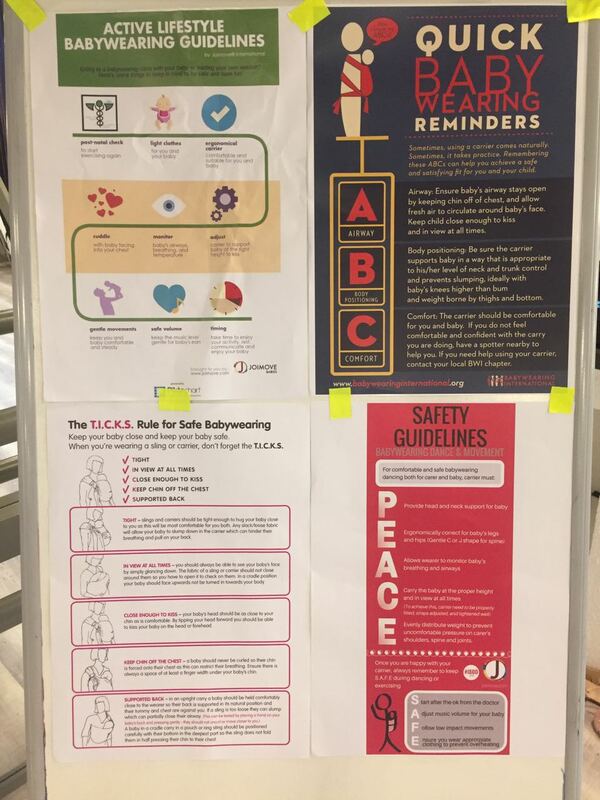 Health and safety is at the core of every Joimove Programme. 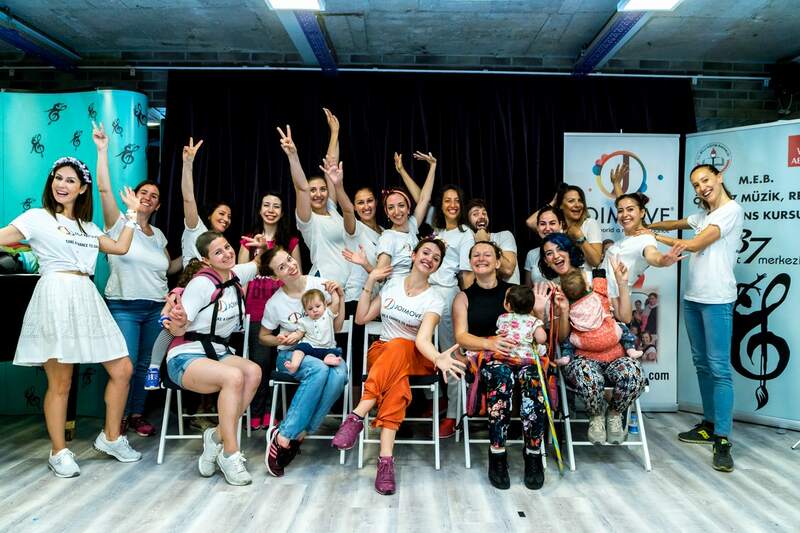 In the morning of Day One, Joimove’s Founder, Selen Yilmaz, will discuss the special needs of each of the groups Joimovers serve, including babies and new mothers, young children, and the elderly. By the end of this session, you will feel confident and ready to assist every member of your community as a Joimove Leader! After lunch, join in the fun as you learn dance steps and new routines! At Joimove, every Instructor reaches out into their community through dance and movement. 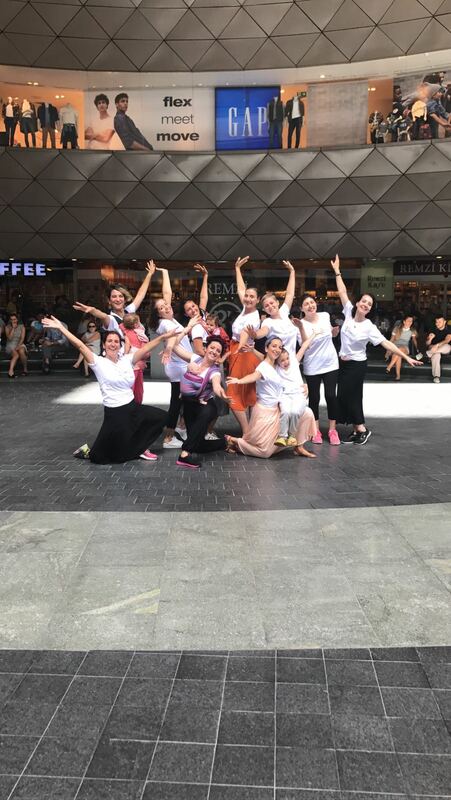 In this workshop, Founder Selen Yilmaz will inspire you to develop your own routines that follow Joimove’s dance styles and health and safety guidelines. Learn class leadership skills in preparation for running your own classes. Discover from one another, share your thoughts and goals, and prepare to run a successful business with Joimove while growing and strengthening your communities. Fill out our online enquiry form and our E-Learning and Education Coordinator, Dr Paula Dumas, will get back to you as soon as possible. Or if you’re already in Turkey, contact our Joimove Turkey’s National Representative, Nur Niyaz Bildik, at nurniyaz@joimove.com for more information. 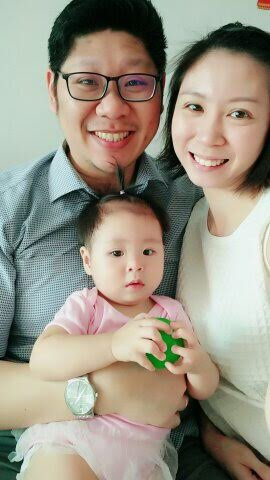 Two of our newest Joimovers, Tiffany and Kevin, are already bringing joy and togetherness to families in Singapore! 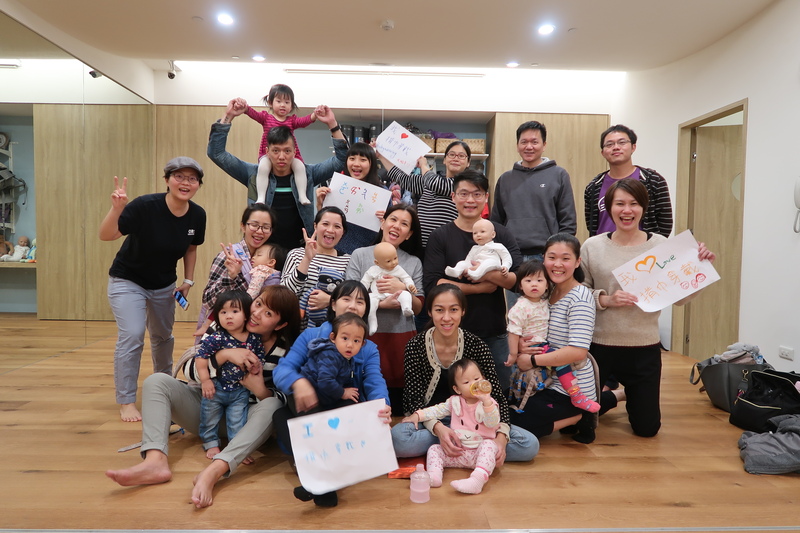 Working alongside local politician, Patrick Tay, Tiffany and Kevin are developing a community-led initiative to celebrate the birth of newborn babies and the growth of young families in their region through a series of Embracing Parenthood Celebrations. 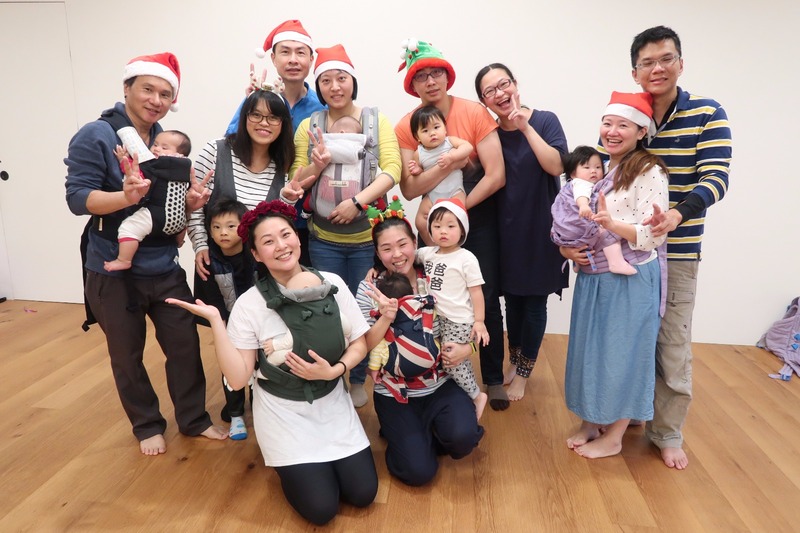 These events include family-oriented activities, gifts, and support to strengthen familial bonds for families with children born in 2017 and 2018. 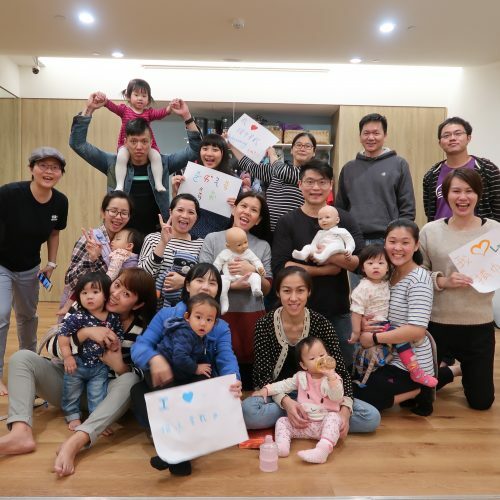 Families are able to come together to share joy, socialise, get informed, and form connections with other families in their communities as part of the new ‘embracing parenthood movement’. Dancing together is at the centre of their activities, and Tiffany is excited to be the Chairperson of the new Joimove Families community that they are building. Congratulations go out to Tiffany, Kevin, and Mr. Tay. We can’t wait to see how this exciting venture reaches more families and gets more people dancing! Babies respond positively to being held and feel soothed by touch physiologically and emotionally. Even young babies can feel the separation when away from someone they feel close to and feel safe when being comforted. Warm touches, the familiar smell of their mother or father, and hearing their mother or father’s voice helps them feel loved and safe. All of these factors help us to understand why babies who are worn regularly cry less. Much like babies, children and adults also need physical closeness in their life. In today’s world adults experience more separation and less touch and closeness in their relationships and in their daily lives. 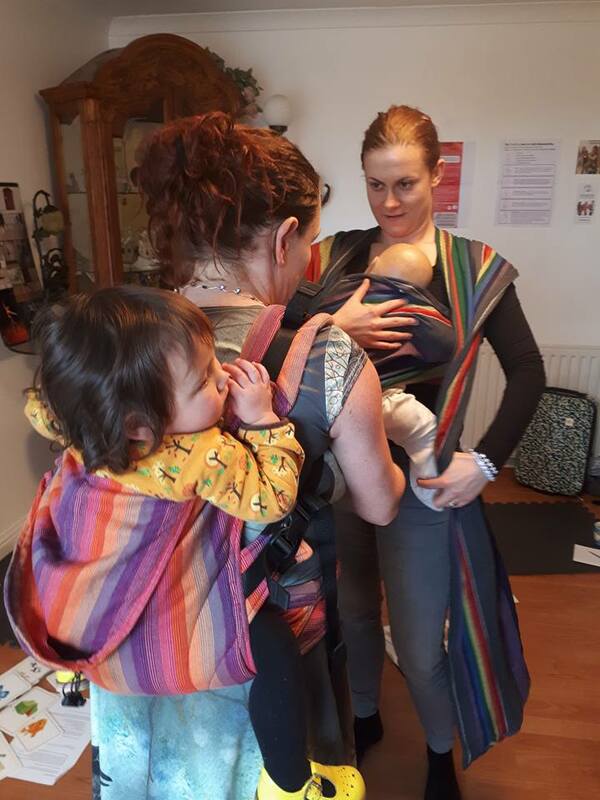 As a parent, babywearing can be a wonderful opportunity for adults to bond with their babies. While some have suggested that holding a baby too often or for too long in their early years and making them attached toddlers will prevent them from becoming independent, the opposite seems to be true. As babies grow in an environment full of love, closeness, and communication, they become more independent and confident. For a child, a nurturing touch also stimulates growth-promoting hormones, improves intellectual and motor development, and helps regulate babies’ temperature, heart rate, and sleep/wake patterns. Babies who receive a nurturing touch experience faster weight faster, are able to nurse better, and often cry less and are calmer. 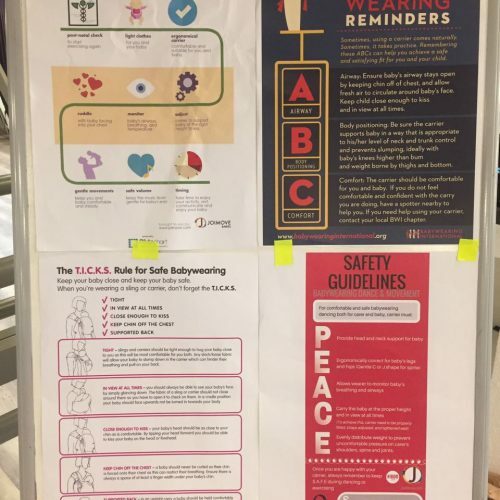 Cultures that include high incidences of physical affection including touch, holding, and carrying of children, experience lower rates of physical violence in adults. Babywearing encourages neurological development by building in skin-to-skin and physical contact to sooth babies and help them feel physically and emotionally secure. 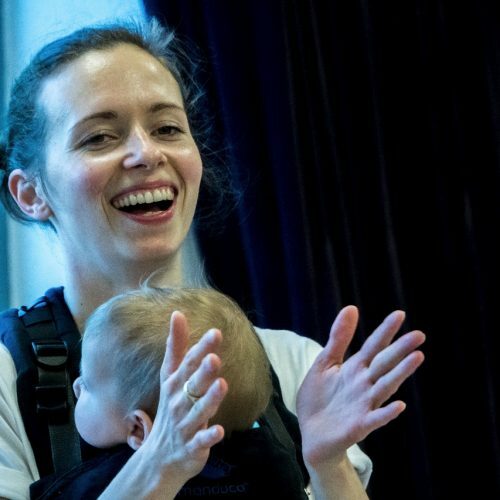 Adding a dance element to babywearing can build in joyful communication and stimulation through movements that encourage physical closeness. Hugs, kisses, touches, holding hands, smelling baby’s head, murmuring the melody during the songs, sharing the beat of the music, and sharing in dance movements all act to reconnect carer and baby and reinforce attachment. 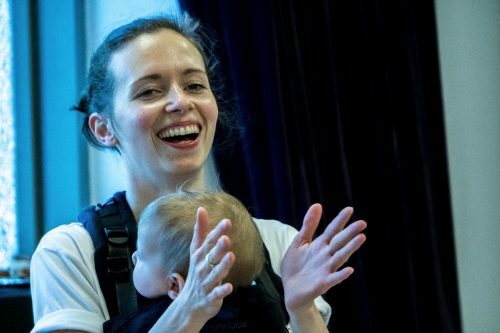 Babywearing and dancing can also help infants and babies connect with other members of their family. Throughout the training weekend, attendees will able to practice their dance and dance leadership skills, study new ways to use available space while leading groups of dancers, and be introduced to new moves and routines for a variety of dance styles by Joimove’s Founder and professional dancer, Selen Yilmaz. Success for small businesses comes from thinking ahead, learning from others, and planning for the future. Founder Selen Yilmaz will be leading a vital session on strategic planning for success in business that will be adapted to suit each Instructor’s and Trainee’s individual goals for the future. Attendees learn from one another, share their thoughts and plans, and bond in their mutual goals of growing successful businesses while making their own communities and the Joimove community better. 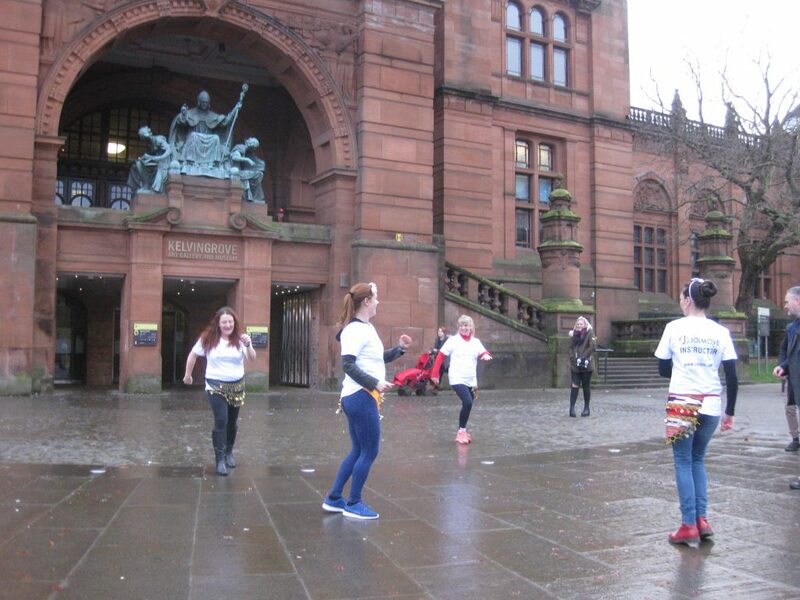 One of the highlights for everyone will be having the opportunity to participate in a Joimove Flashmob in Glasgow. Dressed in their new Joimove Instructor T-shirts, Instructors and Trainees will take turns leading one another (and some onlookers!) in original dance routines. Want to join in the fun while developing new skills? Contact us to become a vital part of Joimove’s growing international community. Write the Joimove team today via our online form and we’ll get back to you shortly. We know that you care about creating a safe environment for wearing and dancing with your baby. Otherwise you probably wouldn’t be taking the time to read more about the topic! 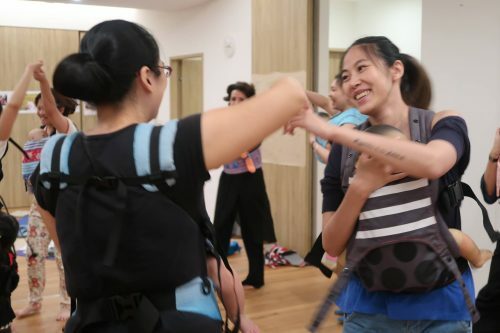 There are several key things to watch for to ensure that you are practising safe babywearing for dance and movement, in a class setting, and in your everyday life. With right carrier for you and your baby, you’ll find that you have the freedom to move and dance and really enjoy yourself while attached to your little one. Steer clear of music with a beat that’s too fast, stay upright, and remember that you can always give baby additional support with your arms and hands. You might find that your favourite carrier just doesn’t work for larger movements and certain dance steps – keep looking for just the right one to enable you to move how you want while keeping baby safe and fully supported. 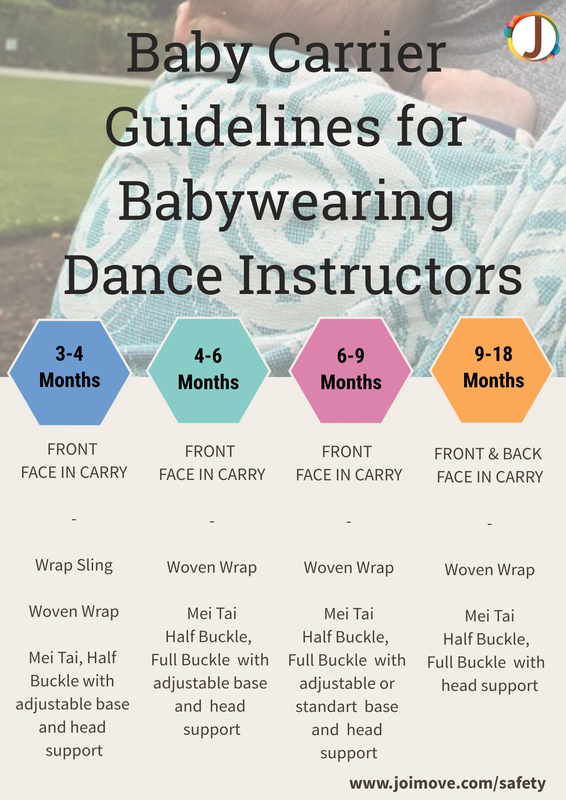 Consider seeking out a Babywearing Consultant or contact with your local Sling Library for advice and assistance for carrying your baby while dancing. Safety first: Before putting on your carrier, make a visual check of your carrier or wrap’s fabric and buckles and where the straps meet the body, for signs of fraying, wear, or other structural defects. Do this every time you go to wear baby. Before you dance: always check that the floor is clear of any objects and potential trip hazards first. Upright positioning: Baby should be wrapped snugly enough in her carrier that her back is fully supported and is in the recommended “J” shape. Baby should be positioned upright in the carrier, not leaning or slumped to one side or the other, and the carrier or wrap should keep baby in this position for the duration of the activity. Otherwise, the carrier is not adequately supporting baby. You may need to re-tie or adjust the carrier and you won’t be able to dance hands free until baby has been re-positioned in the carrier. The right fit: Properly fit your carrier for you and your baby’s comfort and safety while you’re dancing. Review T.I.C.K.S, P.E.A.C.E and S.A.F.E babywearing and baywearing dance info-graphics for more details. Safety in movement: Hold on to baby when bending slightly side to side and during all turns to support baby’s head and neck. Forward bends are never suitable for dancing with baby in a sling; stay upright at all times. Use your supporting hand to support baby’s neck and head, regardless of baby’s age. Too lively of dancing, fast turns, speedy fitness sets can cause baby to bounce up and down and can create a risk for shaken baby syndrome (SBS) in younger babies. Stick to low impact, gentle movements and support baby at all times. Timing: If baby has just fed, take your time getting into the dance or movement. Give baby time to digest, or perform gentle movements with baby in the sling while monitoring her for at least 10 minutes due to an increased risk of vomiting. 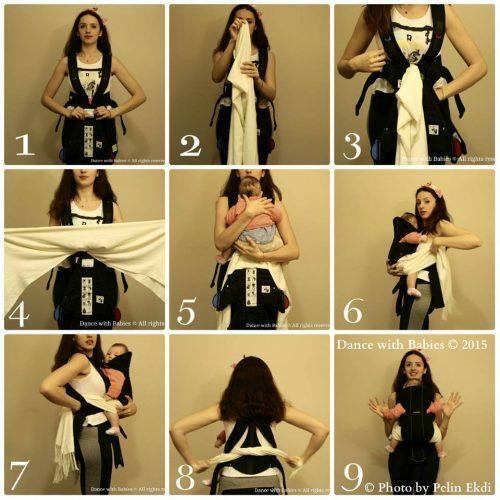 Check on baby’s airways, body temperature, position in the sling, and happiness in the carrier throughout as you dance. From the whole team here at Joimove International, we would like to wish you and your family a wonderful holiday season! We’ll be spending time with our families and friends, and getting ready to start 2018 with more joy! Joimove’s Head Office will be closed December 24, 25, and 26, and will reopen December 27. The office will also be closed December 31 and January 1, and will reopen on January 2. Wishing you all the best for a happy break! For the first half of the weekend, all of our attendees were treated to an amazing day of learning from Born to Carry. Under the guidance of Born to Carry’s Anne and Emma, Joimove Instructors and Trainees studied wraps, materials, anatomy, babywearing safety, and more. 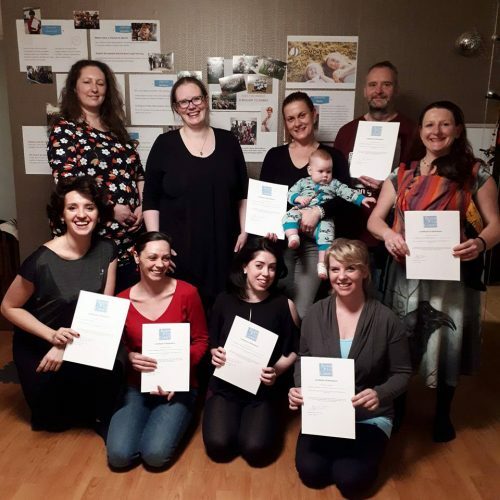 At the end of this intensive workshop, we’re proud to say that every attendee achieved his or her Babywearing Peer Supporter Certification. Congratulations everyone! Safe, joyful babywearing has always been at the heart of Joimove as a world leader in Babywearing Dance Safety Programmes. Throughout the training weekend, attendees were able to practice their dance and dance leadership skills, studied new ways to use available space while leading groups of dancers, and were introduced to new moves and routines for a variety of dance styles by Joimove’s Founder and professional dancer, Selen Yilmaz. Success for small businesses comes from thinking ahead, learning from others, and planning for the future. Founder Selen Yilmaz led a vital session on strategic planning for success in business that was then adapted in small groups to suit each Instructor’s and Trainee’s individual goals for the future. Attendees learned from one another, shared their thoughts and plans, and bonded in their mutual goals of growing successful businesses while making their own communities and the Joimove community better. 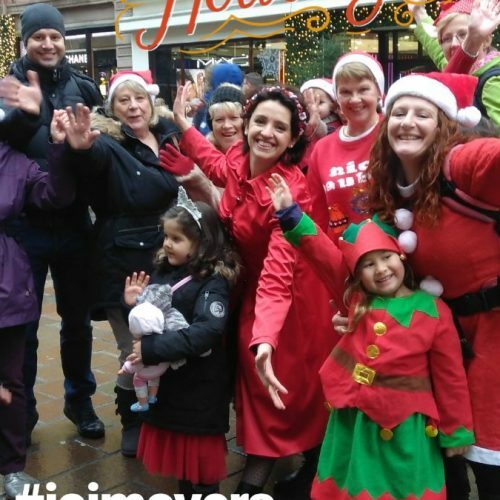 One of the highlights for everyone was having the opportunity to participate in a Joimove Flashmob in front of the historic Kelvingrove Art Gallery and Museum in Glasgow, Scotland. Dressed in their new Joimove Instructor T-shirts, Instructors and Trainees took turns leading one another (and some onlookers!) in original dance routines. Everyone had a lot of fun while learning from one another and bringing joy to the gallery’s visitors. Great news! We have upcoming live trainings already in the works for early 2018! Istanbul, Turkey: 3-4 February 2018 and London, England: 1-4 March 2018. Want to join in the fun while developing new skills? Become a vital part of Joimove’s growing international community. Write Dr. Paula Dumas, our Education and E-Learning Coordinator, via our online form today and we’ll get back to you with all the details. Second day at Joimove Live Training in Taiwan was full of learning but fun! After workshop and wokrshops in the afternoon Joimove trainees met at Dahu Park to have their ballet and dance sessions in nature with wonderful scenery in the background. At the end of the dance training session they performed their first time ever impromptu public dancing. They picked 三天三夜, a song by famous Taiwanese singer 張惠妹 and our founder Selen improvised the routine. Everyone danced Joimove in harmony together with participants from the audience. A huge congratulations to everyone! My babywearing journey starts like most, from a place of love and devotion to my new baby. For me, it was a natural choice. A way to create a strong and lasting bond, a way to give my darling the warmth, comfort, and confidence she needed. I found life as a new mum beautiful but not so easy. Ten days after birth, my husband went abroad to set up what would be our new life in Scotland. Babywearing became my life saver. 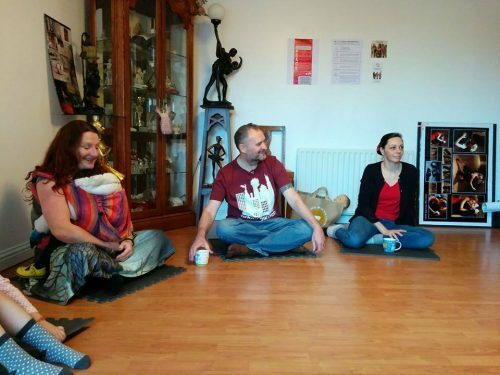 It helped me calm the frantic moments all new mums experience and helped to create a bond with my beautiful daughter while her dad was away. 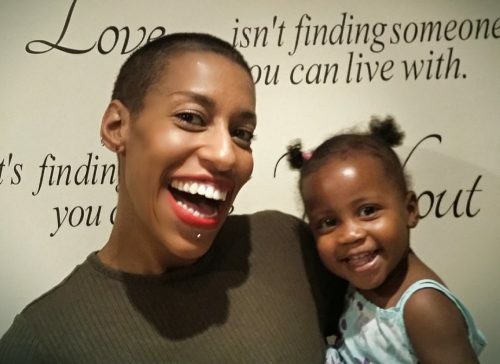 And, as a former professional ballet dancer, I had continued dancing and teaching until the last days of my pregnancy and babywearing helped me to keep moving after birth, sway and dance; chest to chest, heart to heart with my Lydia. We left Istanbul 3 months later to meet up with my husband. I never stopped babywearing or dancing. In fact, it became a family affair. My husband took up babywearing too, and it was beautiful to see how daddy and daughter’s relationship flourished by babywearing. 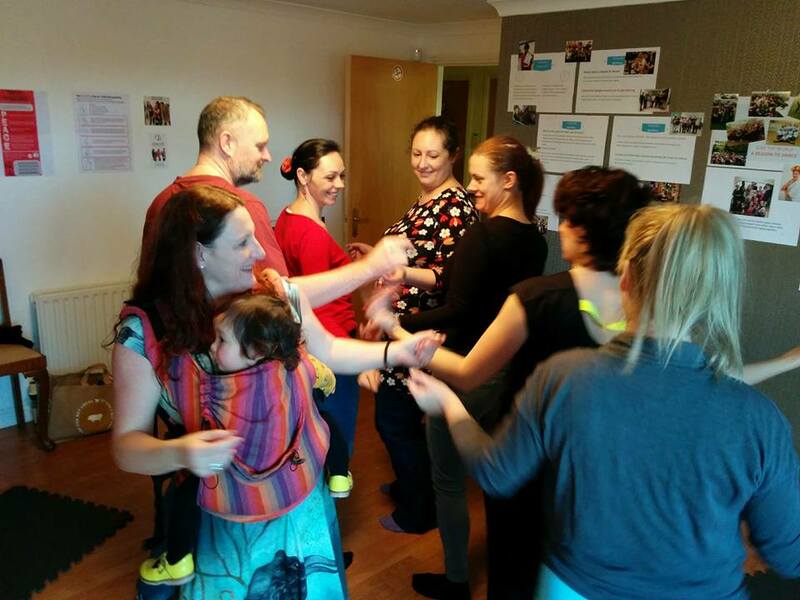 Soon after we settled I started holding babywearing dancing classes as an expat mom in Glasgow. There were so much to learn from English to setting up a business. 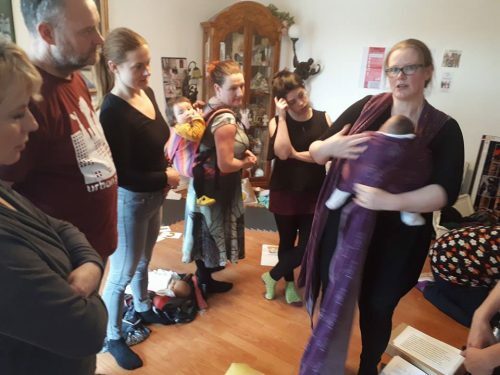 And, through my Dance with Babies classes and Dancing Families movement, I found my new babywearing community with so many beautiful parents and babies from all over the world living in Glasgow and they were inspirational in helping me uniting my two passions, babywearing and dancing. 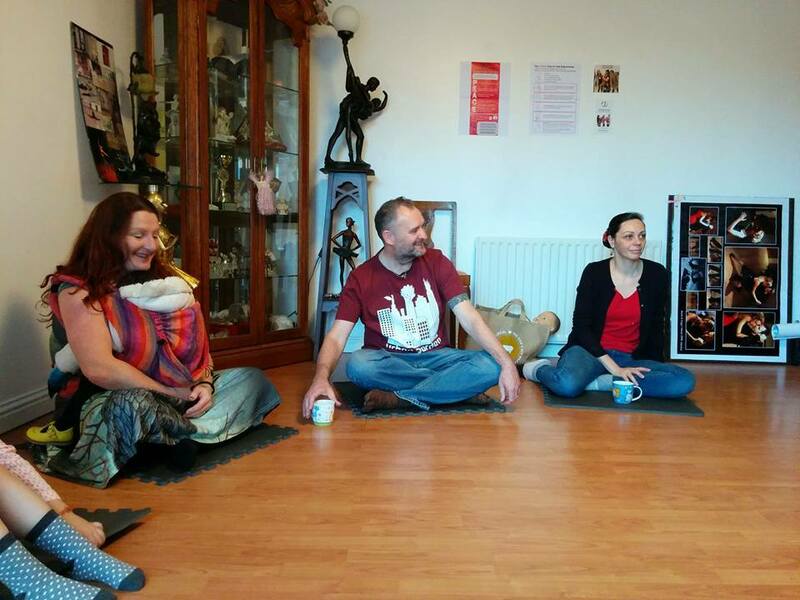 I journeyed from high street carriers to ergonomically correct ones, becoming a peer supporter and to babywearing consultant. 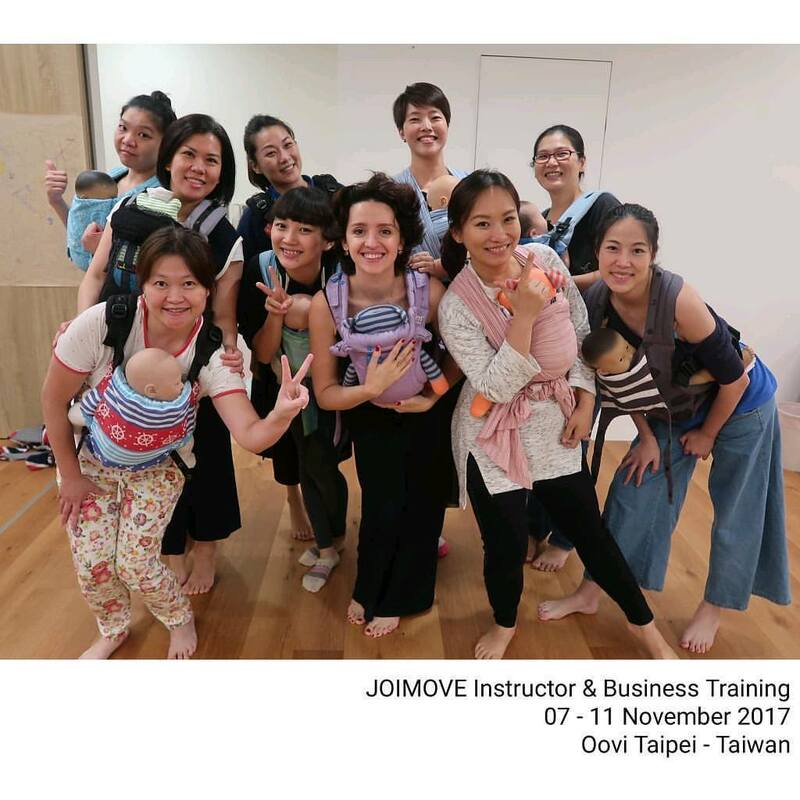 I established a school and team of experts at Joimove where we created the safety course on active babywearing to help babywearing dance instructors deliver their classes safely. 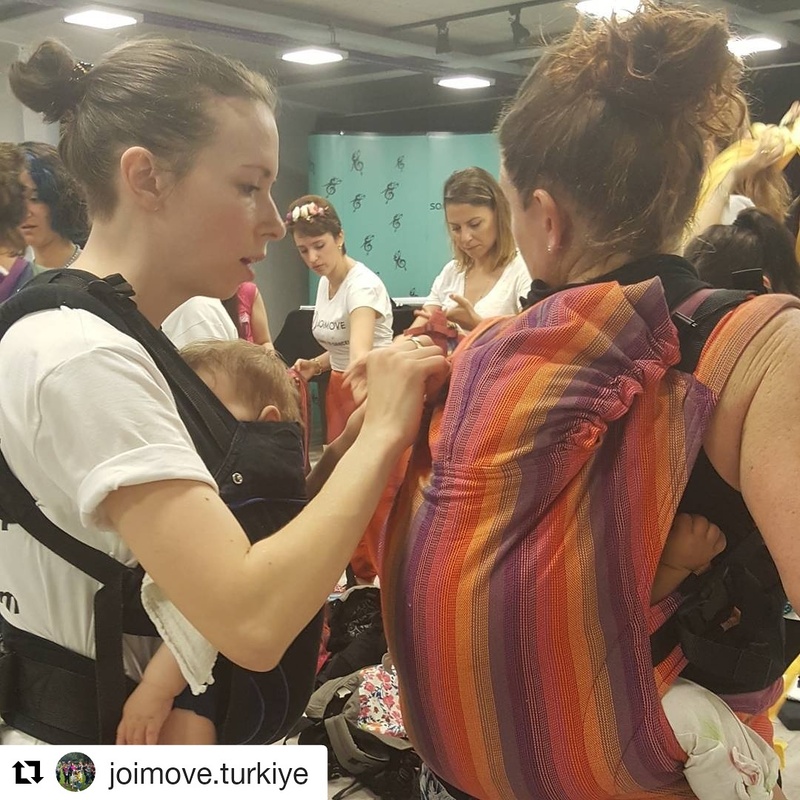 Our growing team of Joimove leaders, Instructors, and Joimovers now form a global community of loving, caring, skilled individuals who are spreading a love and awareness of safe babywearing in 14 countries and growing. 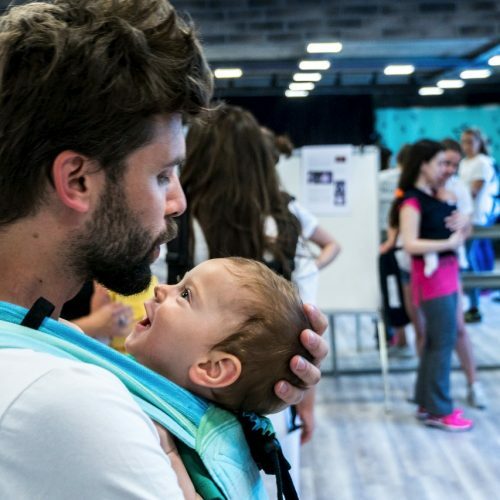 Through our Joimove Babies classes, flash mobs, International Babywearing Dance Day, fundraisers, and special events, Joimove has introduced more than 4000 new parents to babywearing in three years. No matter what lens I viewed the world, whether through Joimove, my personal training and learning, or my babywearing social community, babywearing and dance continued to be integral to mine and my family’s life. 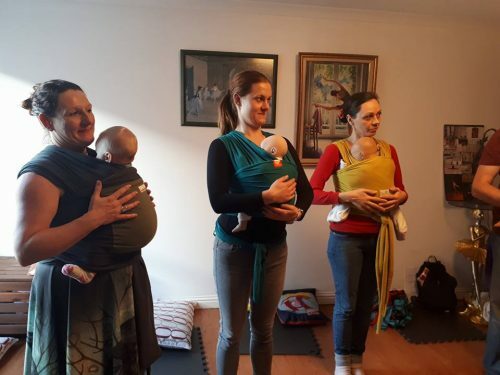 From Lydia’s inspired dances at home, to her excitement in taking part in my babywearing dance classes, or when she tagged along with my husband and I when we went to tango practices, dance and babywearing were our lives. 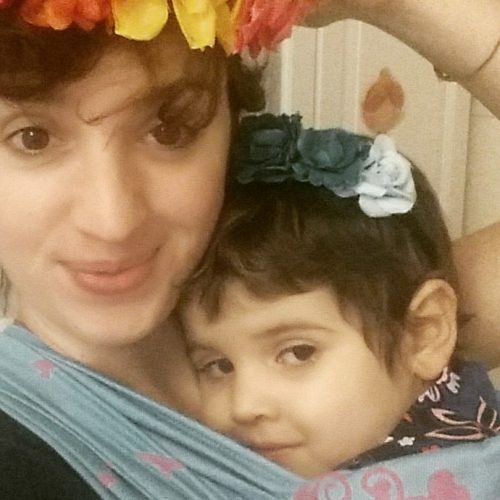 At the end of 2015, babywearing became a healing tool in our lives. 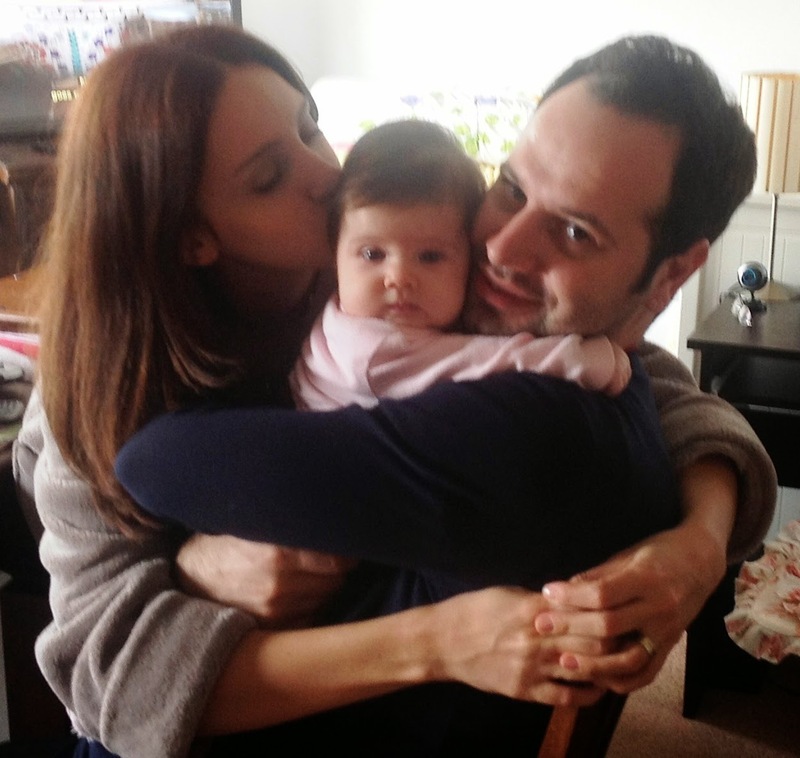 Lydia was diagnosed with Leukaemia, when she was 3, during our family visit in Turkey. In the space of a week, our beloved dancing fairy’s life had come crashing to the ground, no longer able to walk. This new chapter started abruptly in the hospital. Lydia’s illness had a deep effect on all of us. Despite the constant needles, the cannulas and the tubes during Lydia’s first cycle of chemo, we kept the baby carrier beside us. Babywearing turned to toddlerwearing, keeping Lydia close to our bodies and hearts. 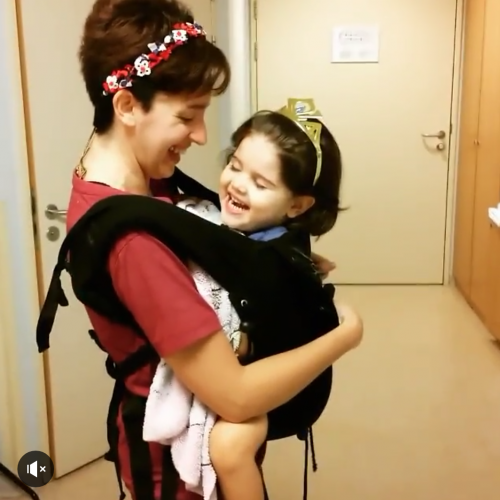 Music and movement, and just general toddler-wearing continued to play a healing part of our lives with Lydia strapped on to us as much as we could; as we walked/danced in hospital corridors, in the room together, wherever we went. It has been 2 years with treatment and we have couple of months left to complete. She is now back to her health and shines her joyful personality where ever she goes. We are grateful to our health team, family and friends both in Turkey, Scotland and beautiful Joimove community around the world. Recently Lydia published a book called “I Like To Go To The Hospital” and all proceeds from the sale of this book goes to Glasgow Children’s Hospital Charity. 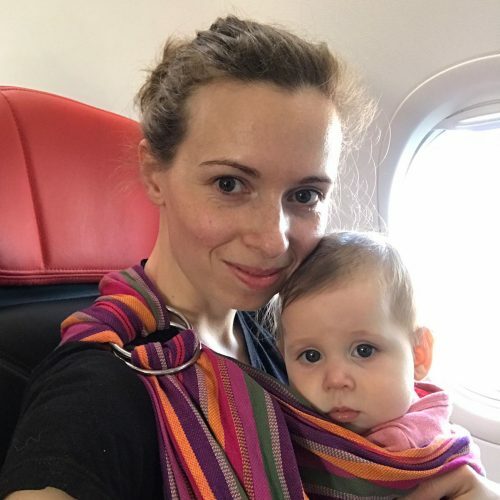 Selen Yilmaz is an international author, former professional ballet dancer, choreographer with over 25 years experience, babywearing consultant and entrepreneur whose work has spread to fourteen countries in three years. This post has been adapted from an original post from Selen Yilmaz’s blog. 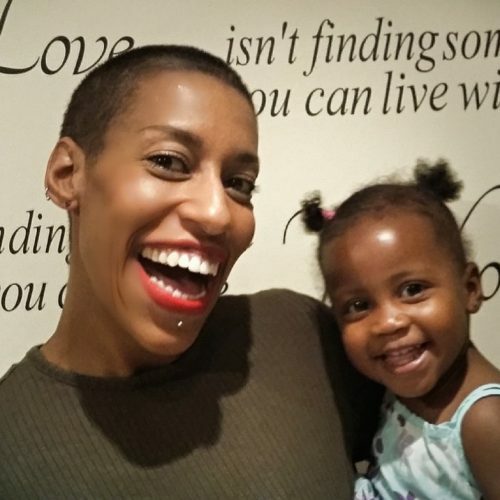 Want to find out more about Joimove’s founder Selen’s journey? Follow her on Instagram. 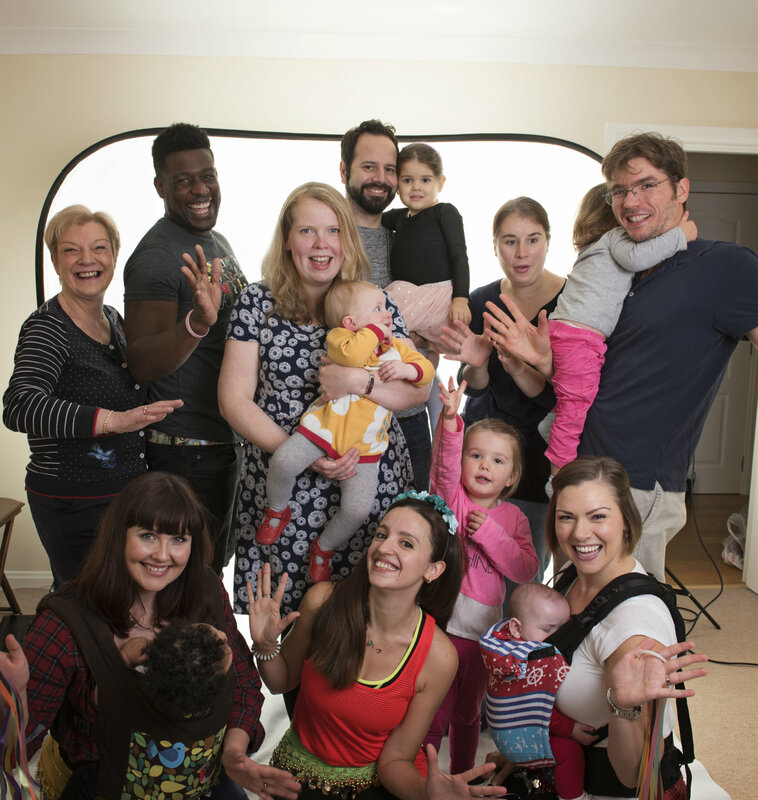 Joimove Babies babywearing and family dancing by Joimove Lithuania’s Representative Ruta Lelyte filmed by Pozityvus dienoraštis Lithuania. There are wonderful women and men in 14 countries! They are Joimove leaders start a new day to bring more joy to the world! In their meet ups, all ages come together through joyfulness, share the power of positivity and gratefulness. We spread our wings for a happier world. We are Joimovers! Registration is now open for the last two Joimove live trainings of 2017! Registration is now open for the last two live trainings of 2017! 2017 has been an amazing year for all of us here at Joimove! 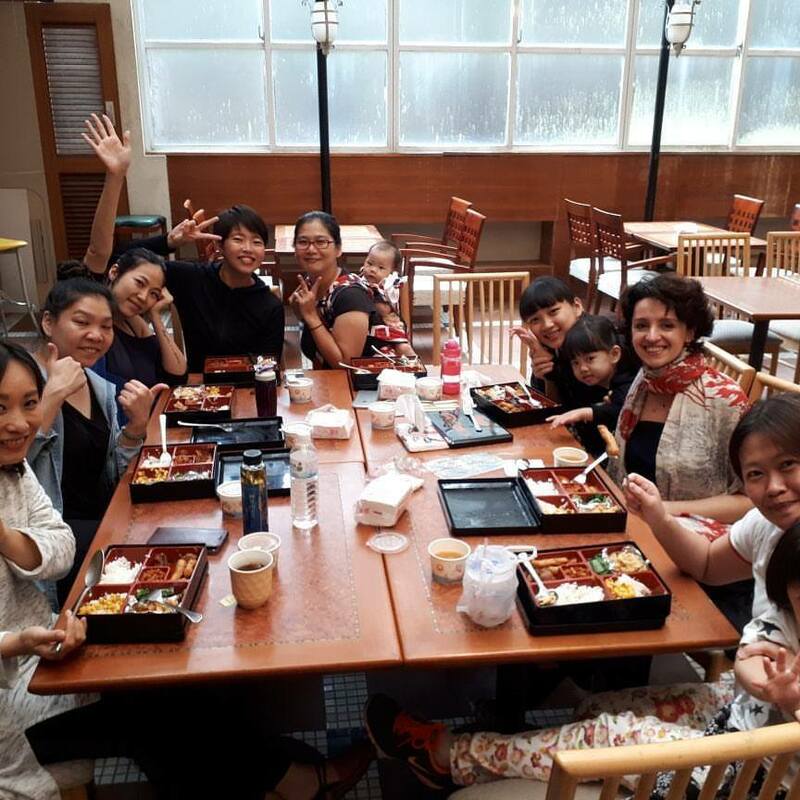 In Europe, America, and Asia, Joimove Instructors led family get-togethers, fundraising events, classes, and took part in festivals and celebrations. This year we held our European summit in Istanbul, where Instructors, Trainees, and Representatives from Lithuania, United Kingdom, Germany, and Turkey came together for a full weekend or training and community building. It was an amazing and powerful experience to have so many Joimovers together, sharing our vision to make our world a better, happier place. 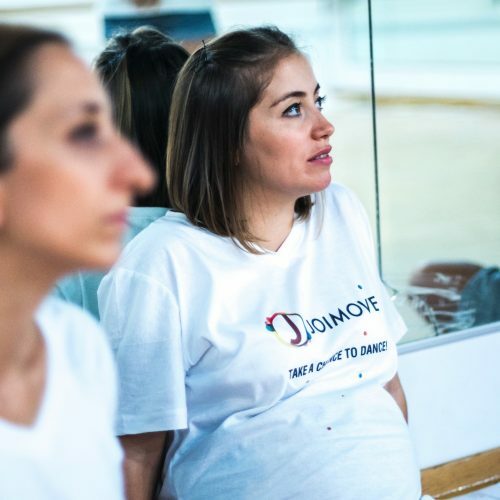 We are proud to have widened Joimove’s aims for the future wider and and are now focussed on creating more opportunities to serve and train individuals all over the world. We are now creating additional business opportunities for Joimovers with our online, live, and refreshment training courses and community meetups all around the world. 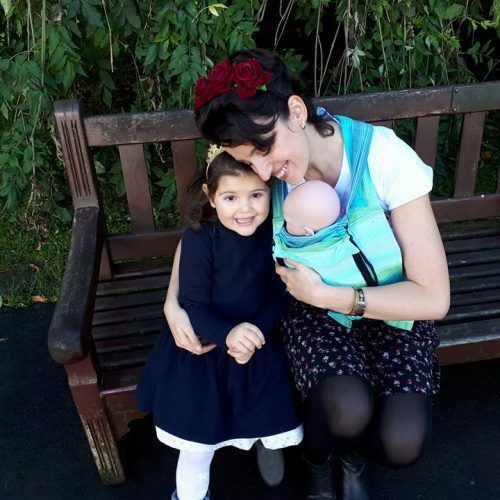 We love babywearing, and we know lots of babies who love it too! It is so important to find the comfortable and safe carrier that fits you and baby correctly, and that means that baby’s head, neck, body and legs and your spine need to be supported. 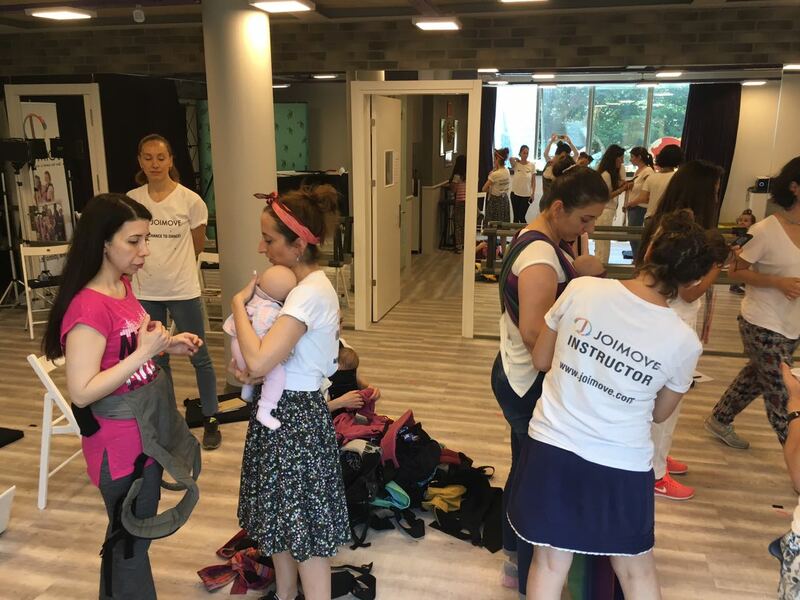 When you arrive at a Joimove Babies session, or if you have been there before, you may see our instructors help participants with narrow-based carriers using the Joimove Scarf Hack or even replace their carriers with fully ergonomic ones. If your carrier isn’t providing knee-to-knee support for baby, a gentle, cuddly shape for your baby’s spine, and comfortable positioning for yourself, the Joimove Scarf Hack can help you out as you begin your search for a carrier that’s ergonomically correct for you both. 1-Put on your carrier and check that the size adjustments are set correctly. 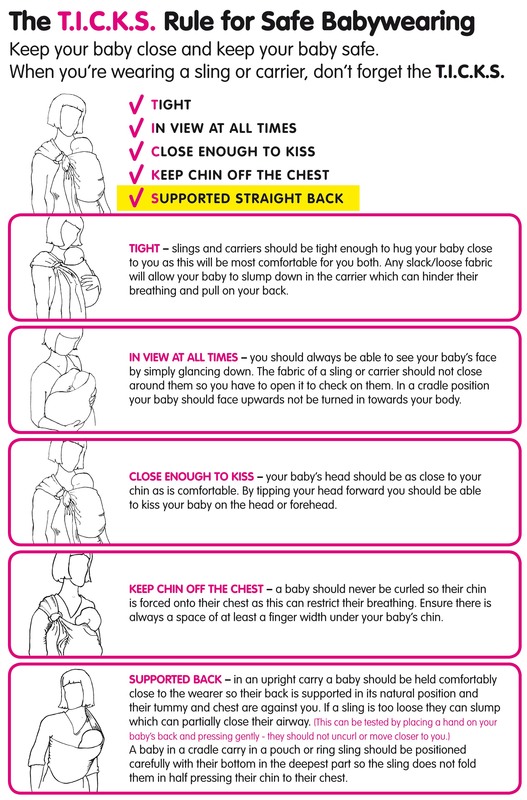 Straps should be pulled tightly and baby should be sitting high enough that you can kiss your baby on her head. 2-Fold a 2-meter long scarf in half. 3-Tuck the centre of the folded scarf in between the carrier and your stomach. 4-Open the scarf and move one half to each side of your body. 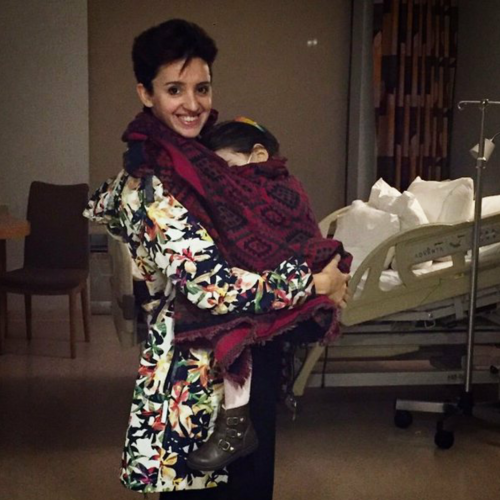 5-Place baby deep in the carrier facing inwards, supporting her bottom, legs, and knees with the help of the scarf. 6-Tighten the scarf, gently lifting baby’s knees so that they are naturally higher than her hipbones. *Remember: never force a baby’s body into any position. 7-Tuck the scarf into the side straps of your carrier. 8-Knot the scarf at your back. 9-Do not forget to support baby’s head and neck with your hand! Read more about babywearing dance safety here. 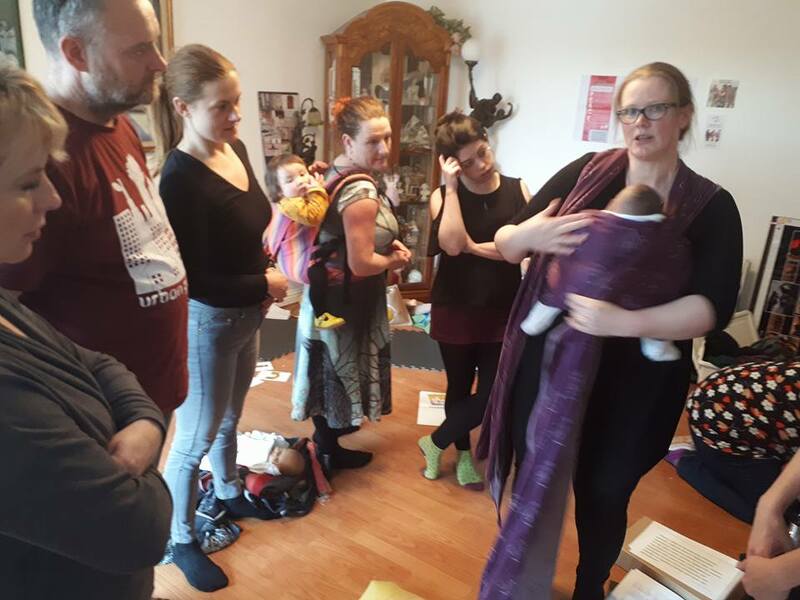 To help you in your search, check out some of the great advantages of a local sling library, babywearing peer supporters and consultants in your area! We are so proud of our Joimovers! Joimove Babies, Kids, and Friends Instructors have been making the news lately with their great work and are inspiring others to get active and spend quality time with their babies and children. Let’s take a look at some of these amazing news stories from all around the world! 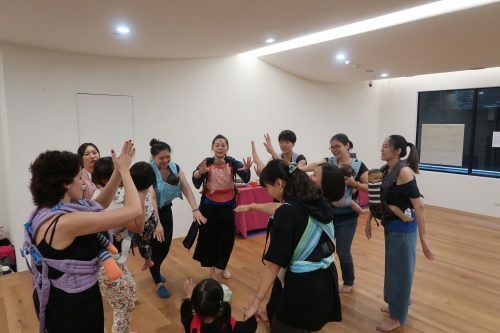 Our amazing Joimovers in Taipei, Taiwan, were featured on evening news to share information on the benefits of babywearing dance classes and Joimove’s expertise in safe, fun babywearing. 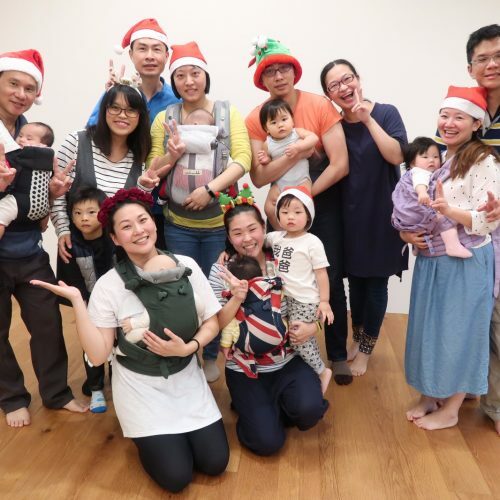 Diana Chendana and Phoebe Chiang were interviewed alongside Dr Yin Chang-Sheng, an expert in obstetrics and gynaecology, who lent support to the great work and high safety standards that Joimove Babies classes offer to parents with babies and young children. Ruta Lelthe Ambrozaitienė, a Joimove Babies and Kids Instructor from Vilnius, Lithuania, had an article published in Mažylis, Lithuania’s parenting magazine. Ruta was so happy to be able to share information about working as a Joimove Instructor with babies and new mothers with Mažylis’s readers. “I shared that dance is in human nature, that living with a beat and rhythmic movement starts in the mother’s womb and continue on in a mother’s hands with nursery songs, calming down a baby, etc. But we stop dancing when we start to think that dance needs special abilities, specialised knowledge, and technique. Usually such messages as ‘I can’t dance’ comes from parents and a child accepts this idea that dancing is something that you have to learn. Joimove’s Founder, Selen Yilmaz, was recently interviewed by Bebegim ve Biz about the history of Joimove International and the progress Joimovers have made in promoting active living, safe babywearing and babywearing dance, and in bringing people together in communities all over the world. 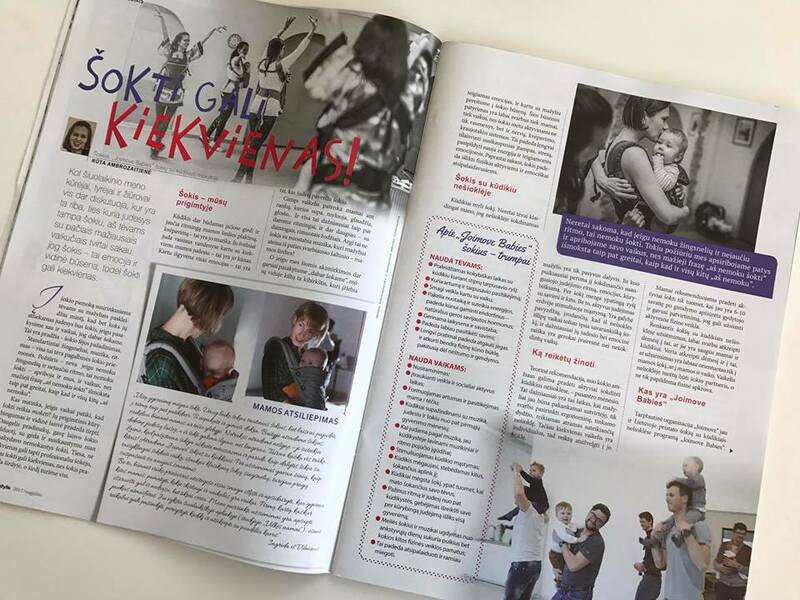 We were honoured that the magazine chose to create a special edition for Joimove in honour of the amazing powers of babywearing and babywearing dance in their August 2017 issue. This week, one of Joimove’s newest Joimove Babies Instructors, Kailey McNeill, held a well-attended flashmob in her home state of Virginia. 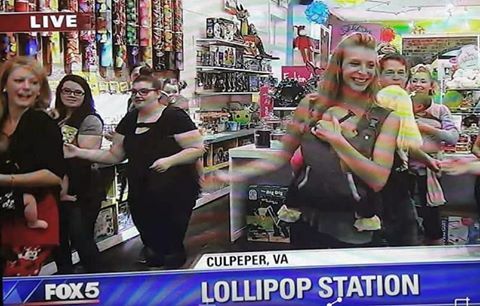 The flashmob of babywearing dancers and their little ones was even featured on Fox 5 News. Great work Kailey! A big ‘Congratulations!’ goes to all of our Joimove Instructors and Trainees who continue to inspire community spirit and active living in every one of their communities. Want to find out about Joimove events in your area? 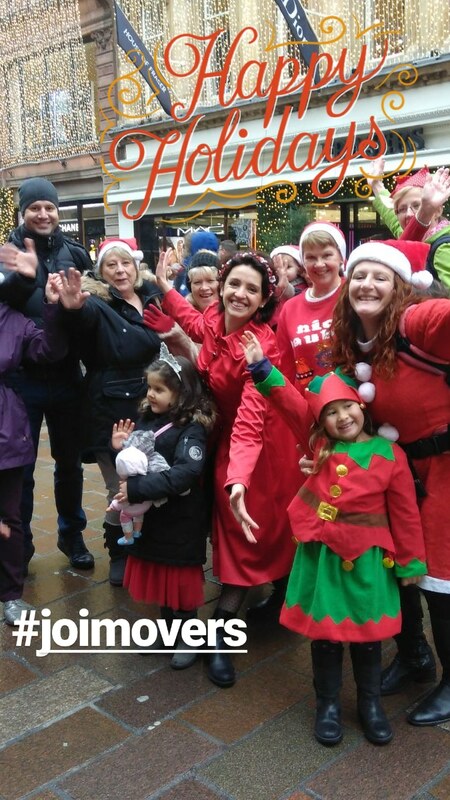 Check out Joimove’s Facebook page and Instagram account for updates, or contact us today to find out more about becoming an inspiration in your own community through our unique Joimove training programmes. Joimove is so happy to be taking a leading role again this year in organising International Babywearing Dance Day, IBDD2017. 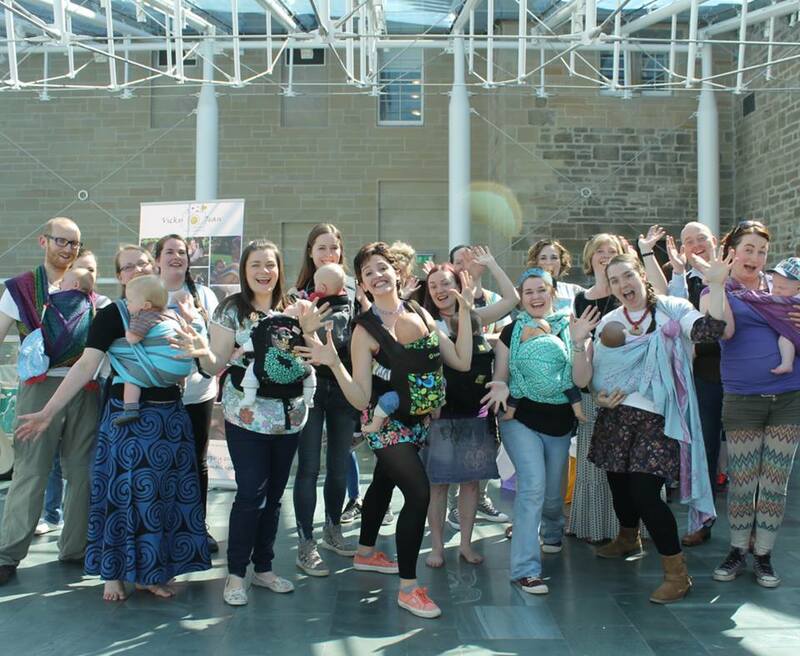 On 21 September 2017 and during the week and weekend, babywearing dance groups from all over the world will be celebrating their love of safe babywearing dance by taking part in a global flash mob by dancing the new ‘Mother Earth’ routine to Madre Tierra’s ‘Chayanne’. 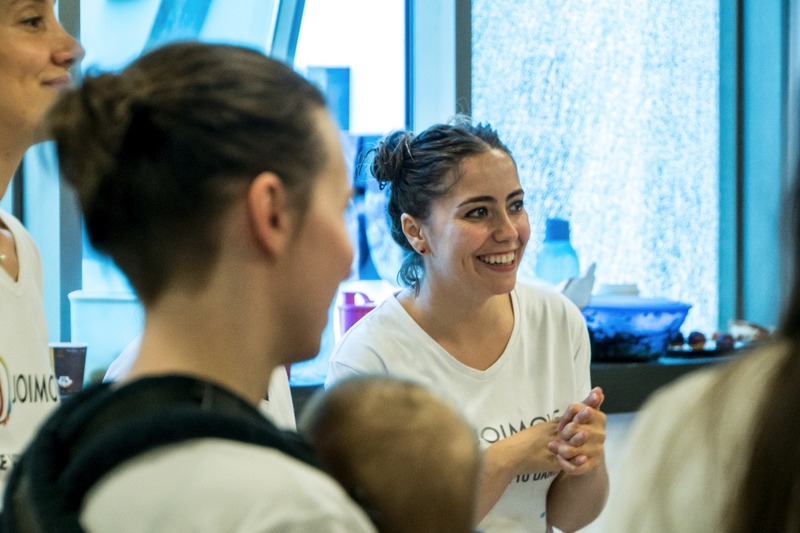 This year Joimove’s staff and volunteers are playing key roles in administrative tasks, organising the event, creating marketing materials, and answering questions about the day as they come in from across the globe. But you won’t just find Joimove’s influence behind the scenes. We are so happy to announce that we have Joimovers in 12 countries busy planning their own events to get more parents and children dancing! That’s right! Joimovers will be running events in 12 countries, including Scotland, the USA, Lithuania, Turkey, and Taiwan. Babywearers in these countries and many more are busy learning the new dance routine “Mother Earth” and planning to take part on 21 September, plus they’ll record their performances to share with their friends, members of the IBDD community, and a global online audience. Want to take part in an IBDD event? Contact IBDD at babywearingdanceday@gmail.com, check the IBDD Facebook page and Instagram account for updates, and visit the IBDD website, for more information about this amazing celebration. Join us today! It’s no secret that all of us here at Joimove love babywearing. 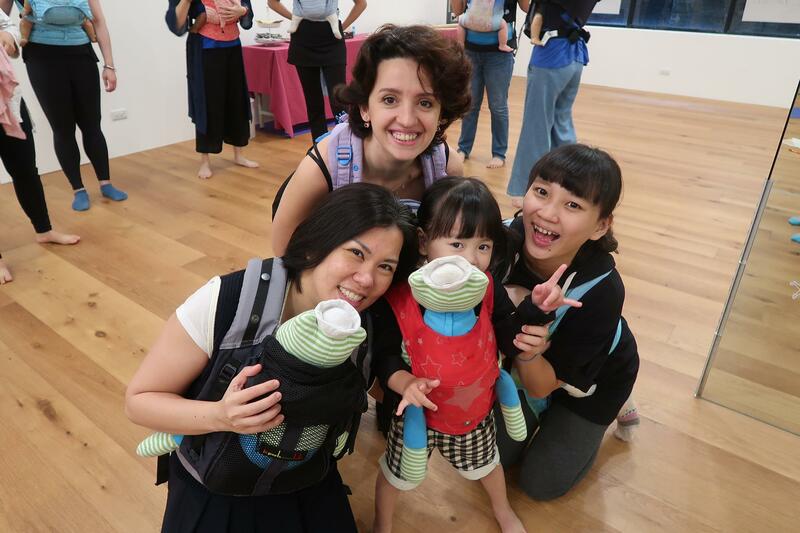 The very first Joimove class, Joimove Babies, celebrated babywearing by mixing safe babywearing with dance and movement. Family health professionals, paediatricians, physiotherapists, psychologists and babywearing experts alike all know that there are plenty of benefits of babywearing for baby; from helping to sooth colic and create a safe sleeping environment, to deepening the connection between baby and wearer, babywearing helps us to create joyful parenting moments and encourages a nurturing touch. So let’s take a look at five great reasons why we love to wear babies! When baby is safe, warm, and snuggled into her carrier or wrap, we can go for a walk, hop on a bus, or even get moving to some great music. Carrying babies in a carrier distributes weight equally, unlike when they’re being carried in arms, and is more comfortable for the wearer and baby alike. With the right carrier or wrap we’re free to go anywhere we want! Choosing an ergonomically designed carrier should help maintain correct posture and give full support for baby while preventing lower back pain for the carer. The right wrap or carrier is sized to a child’s needs and provides ergonomically correct support for baby’s head, neck, spine, hips and legs. When worn correctly, baby (or toddler) is safe and secure. What a great feeling! Chest-to-chest (face-in) carrying is wonderful for building that crucial bond between parent and child. Baby listens to our heartbeats, feels our breathing, and is reassured that he or she is loved and supported by their caregiver. When we wear our babies comfortably and safely, and maybe dance a few smooth moves while keeping our hearts open, we find a joy that lasts. Let’s not forget about one of those great moments in parenting in new baby: helping baby fall asleep! As one of our Joimovers shared, “My little girl was not a sleeper. She’d sleep less than an hour at a time around the clock. I popped into a lovely stretchy wrap and – guess what – three solid hours of sleep while I got to relax and simply enjoy being her.” Amazing! Do you have colicky baby? A snuggle and some gentle movement or rocking while in a carrier can help to calm and sooth your little one. Who doesn’t love cuddles?! Cuddling, hugging, and holding our babies close to us is vital to growing their sense of security, assisting their development, and strengthening the parent-child bond that we all want to have with our children for the rest of our lives. Hold your baby close and give her/him a big cuddle today! 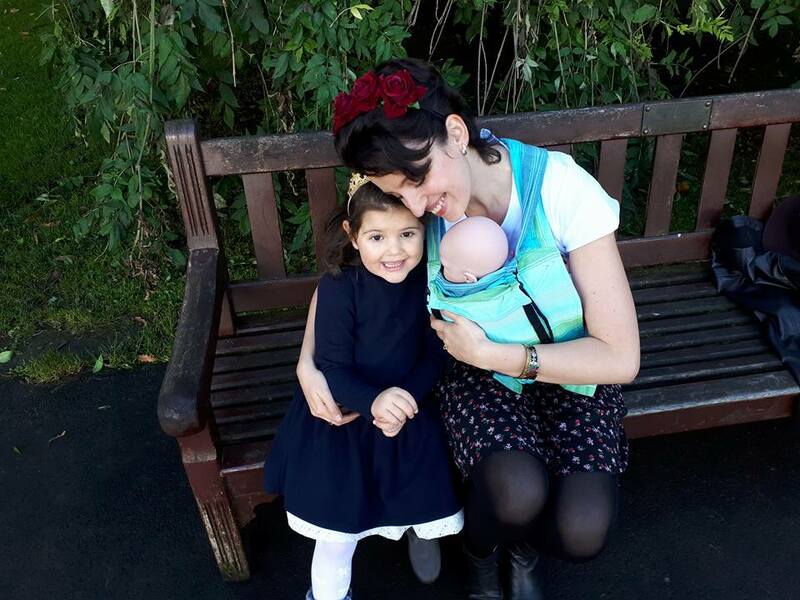 Why not share our love of babywearing with us on Instagram? Tag your favourite photo of you wearing your baby with #myloveofbabywearing for your chance to be featured on Joimove’s Instagram account! 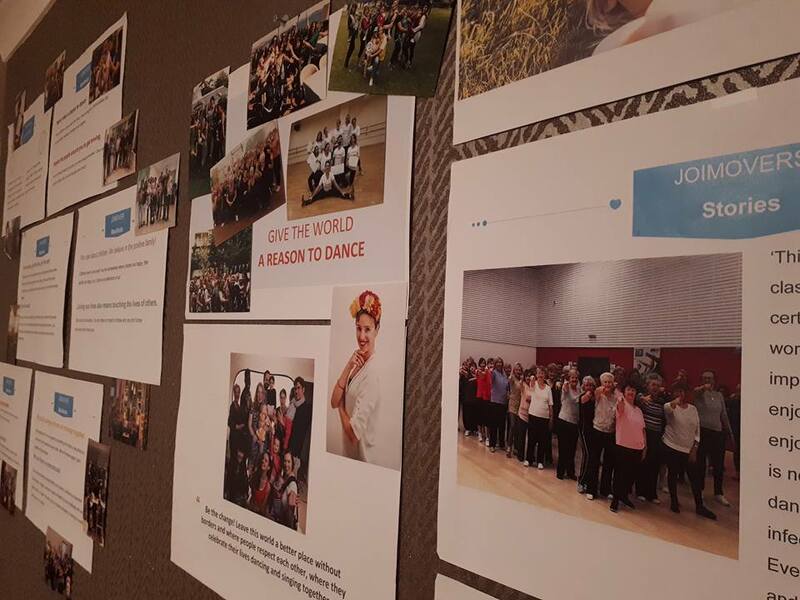 Looking to contact Joimove or learn about our programmes? You can send as an email at training@joimove.com, but to find out more about us online, come check out what we’re sharing on social media today! Here’s a list of places you can find us online. Follow us to keep up to date and be sure to say hi! 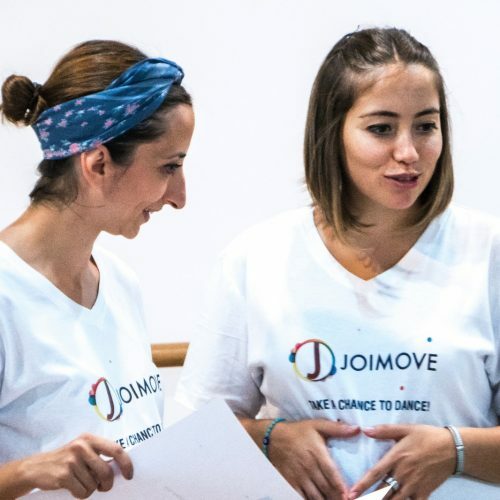 Our main Joimove Facebook page has all the latest info, photos, and videos from our trainings, programmes, and events from around the world, but you can also find country/region-specific and instructor-run Facebook pages, too, so don’t miss out! Our Instagram is buzzing with behind-the-scenes shots of the work that goes into spreading our love of babywearing dance and health and fitness at every age, plus a glimpse at our energetic instructor trainings, new works in development, and life around the Head Office in Glasgow. Our Pinterest boards are fantastic! We’re continually gathering resources from all over the web on the topics that mean the most to us: babywearing, child safety, attachment parenting, family fitness, and dancing for everyone. Plus we’ve included a dose of inspirational quotes to keep us all feeling joyful and ready to face the day! 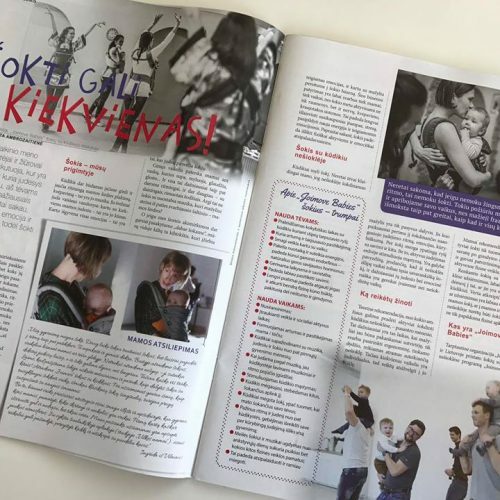 Check here for the latest news from the babywearing universe, advice from Joimove’s international community of babywearing instructors and professionals, and our top tips and tricks for babywearing, dancing, and simply sharing joy with our children and our communities. Find out what we’ve been up to on any of these channels, then contact us in the comments below, on any of these platforms, or email us today and start your journey with Joimove! 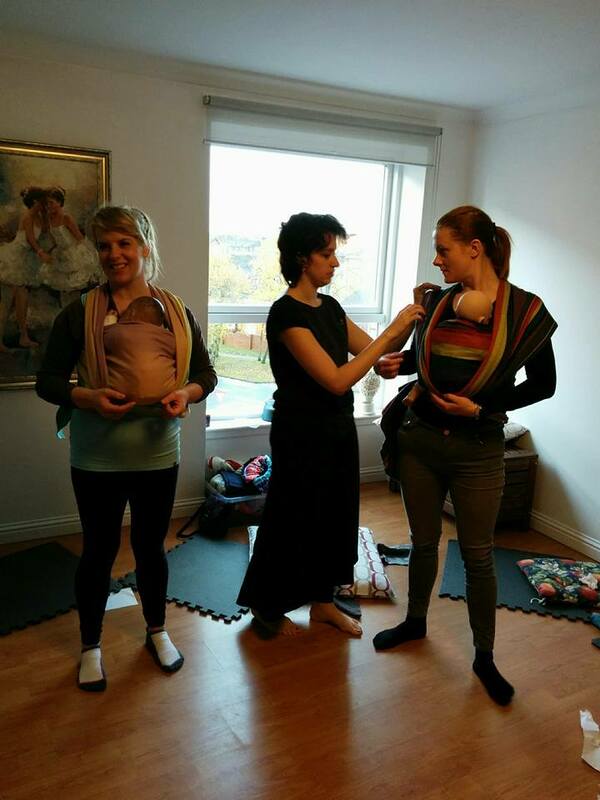 Ruta is one of our Joimove babywearing dance instructors! She’s a professional dancer and dance therapist from Lithuania and now teaches Joimove Babies classes. She’s getting ready to set up the first babywearing community and sling library in her country. 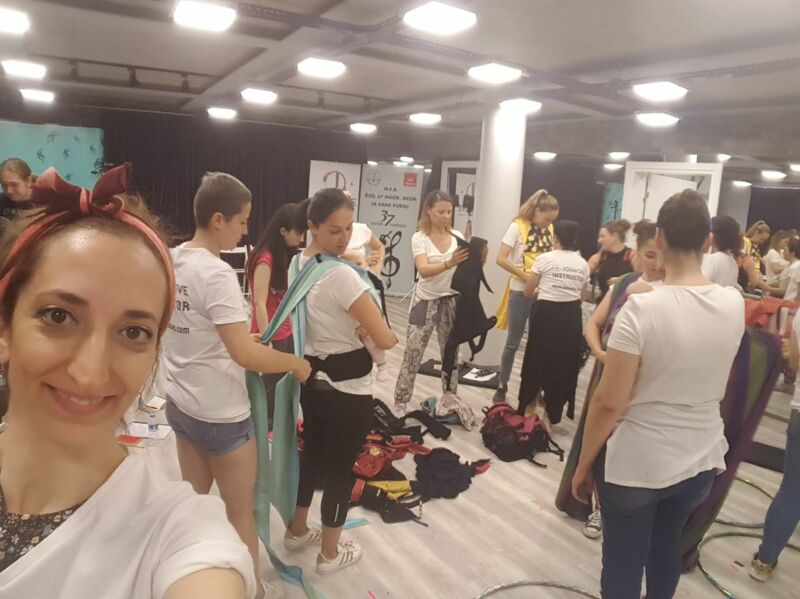 Here Ruta shares some of her Joimove journey with us and her experience at the recent Joimove European Summit training weekend in Istanbul. On June 3 and 4, 2017, Joimove held its first multilingual European summit in Istanbul. 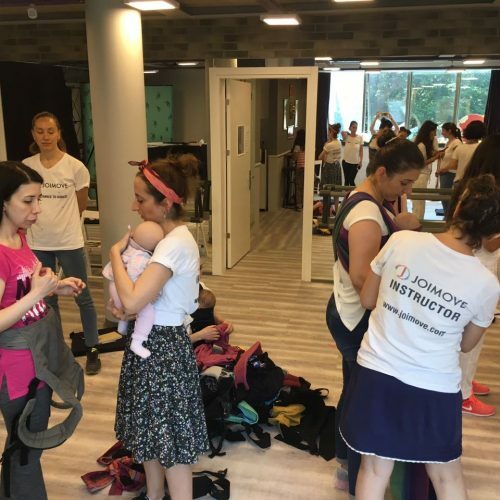 Joimove Babies Trainees and Instructors gathered together from all over the world to meet for two days of intensive babywearing dance training, learning, sharing together, and of course, dancing! Joimove loves bringing people together to share their passion, knowledge, experience, and joy, and this training was no exception! 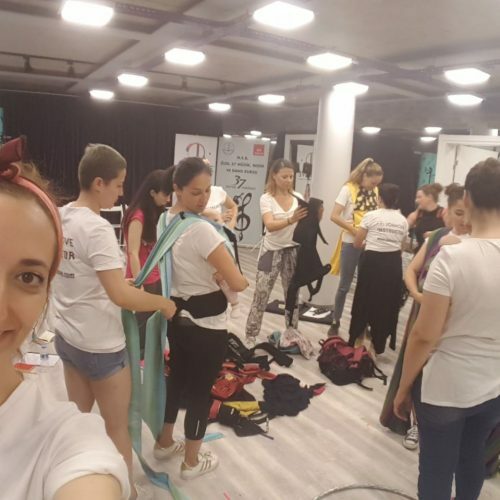 This year Ruta, our representative from Lithuania, Ally, from Scotland, Basak from Izmir, Cigdem from Germany and Nazli from Antalya flew with their babies in slings to Istanbul, Turkey to join in the training at 37 Arts, Acarkent. The highlight of the Joimove training summit was when Joimove’s Founder, Selen Yilmaz and Joimove’s health and babywearing consultants, spoke about health and safety when babywearing, post-natal health and wellness, infant anatomy, and creating powerful, joyful communication in Joimove Babies classes and in the wider community. Joimove Babies is also about dance! 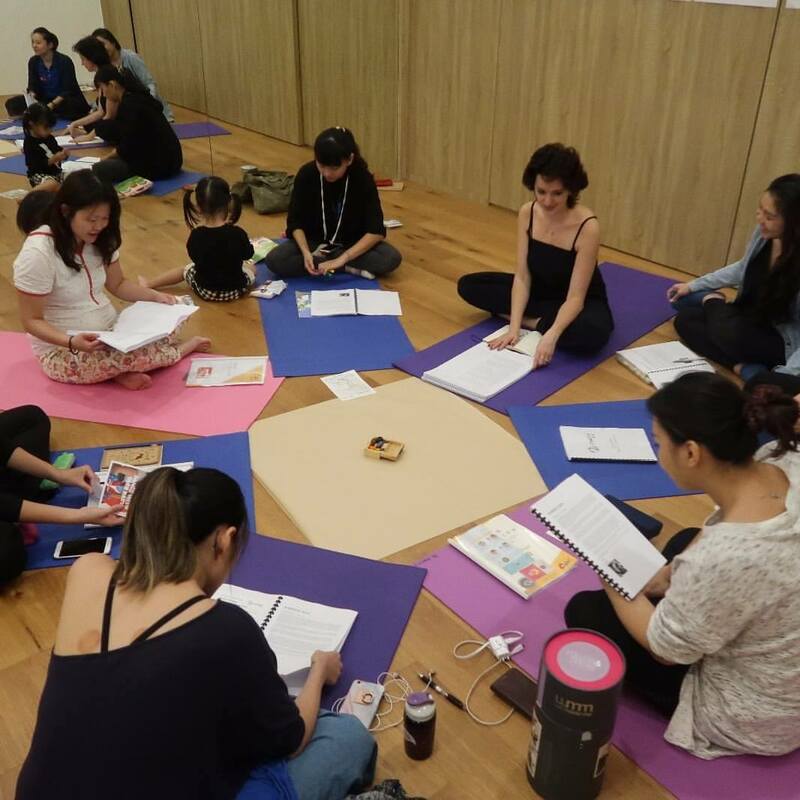 As a dance professional and former ballerina, Selen explained about the importance of choosing the right music and safe movements for Joimove Babies babywearing dance classes. Over the course of their training, Joimove Babies Instructors learn why certain dance moves are safe and what to consider when creating routines rather than set routines, so that our Instructors have the freedom to design routines that suit their own style and the individual needs of their students. 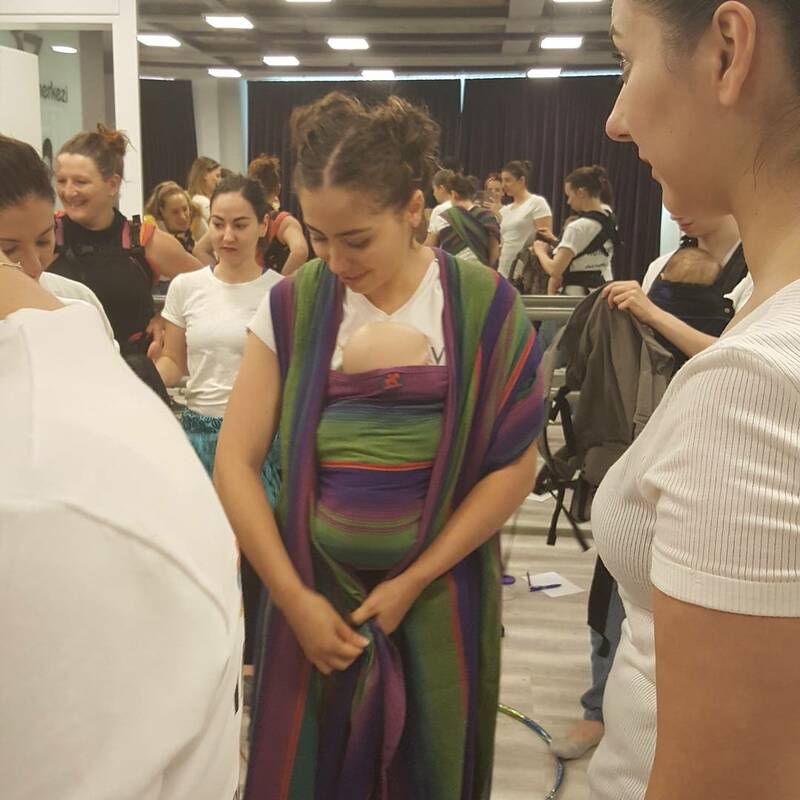 In Istanbul, Joimove Babies trainees and Instructors worked through specially prepared case studies on babywearing dance and practised routines in many different styles, from belly to salsa to ballet! Babywearing dancing is a special field within dance that requires careful work with young babies, new moms, and loving parents. As a world leader in the field, Joimove is proud to have babywearing and health professionals in our team and explore every aspect of babywearing dance safety in detail with our trainees and Instructors during our Joimove Babies training sessions. Our Instructors are the heart of Joimove and are making an impact in each and every one of their communities! Our international team of Instructors are proud to be some the first ones in their countries to set up sling libraries, sling meets, and bring wonderful babywearers in their regions together for the first time. 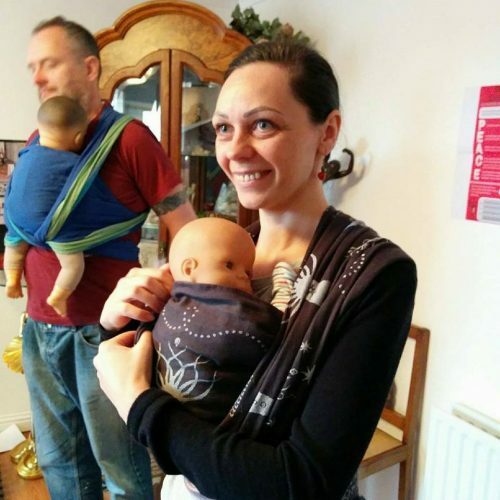 We encourage our Joimove Babies Instructors to upgrade their Babywearing Peer Supporter knowledge to the Babywearing Consultant level where available and to study first aid so that they are prepared and ready to help. Today, Joimove International operates in England, Germany, India, Ireland, Lithuania, Scotland, Spain, Taiwan, Turkey and USA. 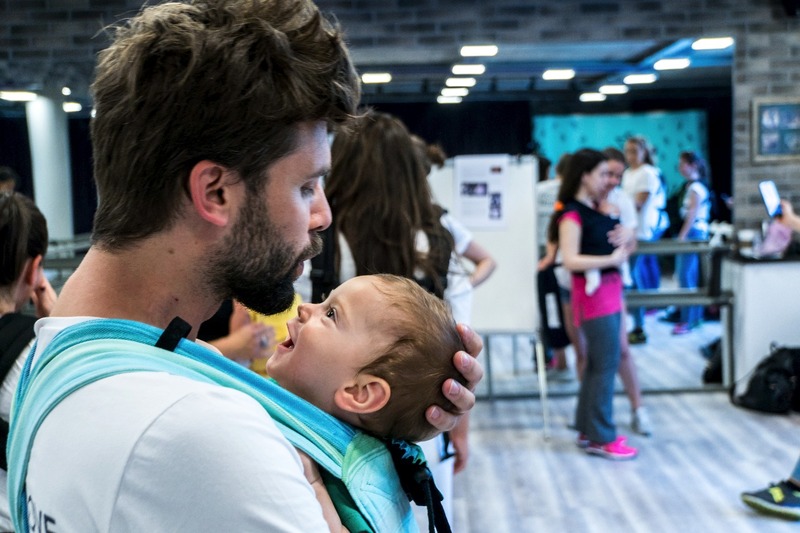 At Joimove, we hold refreshment training for our Joimove Babies Instructors several times each year to keep our Instructors motivated, safe, and connected to one another. Upcoming trainings include Istanbul, Turkey in September and Taipei, Taiwan in November, and we will be holding live training in Lithuania in April 2018. 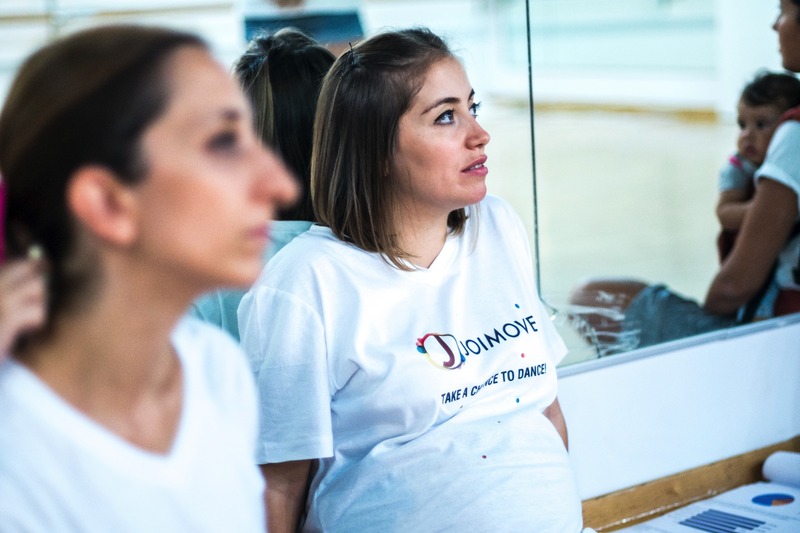 We are always looking to bring the joy and knowledge of the Joimove Babies Instructor training programme to new regions and communities. If you would like us to come to your region, or you would like to find out about our ground-breaking online training programme that brings our experience and knowledge to you wherever you are and fits around your schedule, email our Education and E-Learning Consultant, Dr Paula Dumas, today at training@joimove.com for more information. 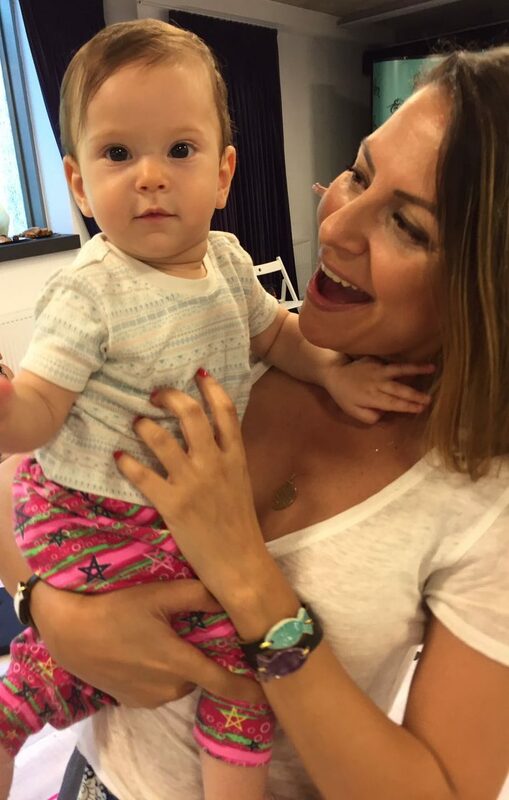 Dr Ally Baker, psychologist and mum of two, attended Joimove Babies in 2013 and 2014 in Glasgow and loved it! Took part in Get Scotland Dancing 2014 with Joimove and is now dedicated to the cause of getting more people dancing all round the world! She is launching babywearing dance sessions and Joimove Babies Community in Dumfries by 1st June 2017, 12.30pm. Contact her at ally@joimove.com and join her on facebook. 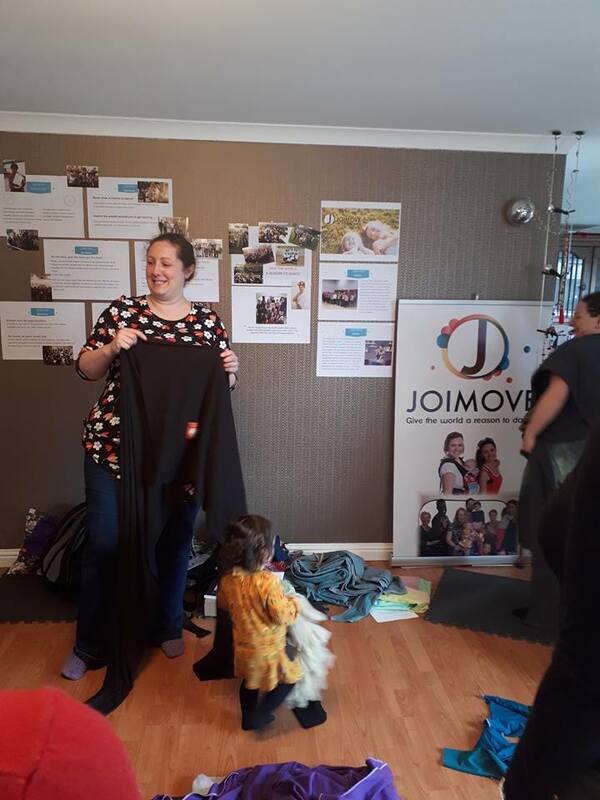 Ashley Bendoris Faulds has recently completed her refresher training on Babywearing Dance Safety and Communication at Joimove! She is mom of 2 and expecting her baby and looking forward to starting back her Joimove Babies classes in North Glasgow by June 2017. Happy Mothers Day to all Joimovers! Here is a wonderful video from Joimove Lithuania. Last Monday, dads and kids prepared a surprise dancing gift for the moms. 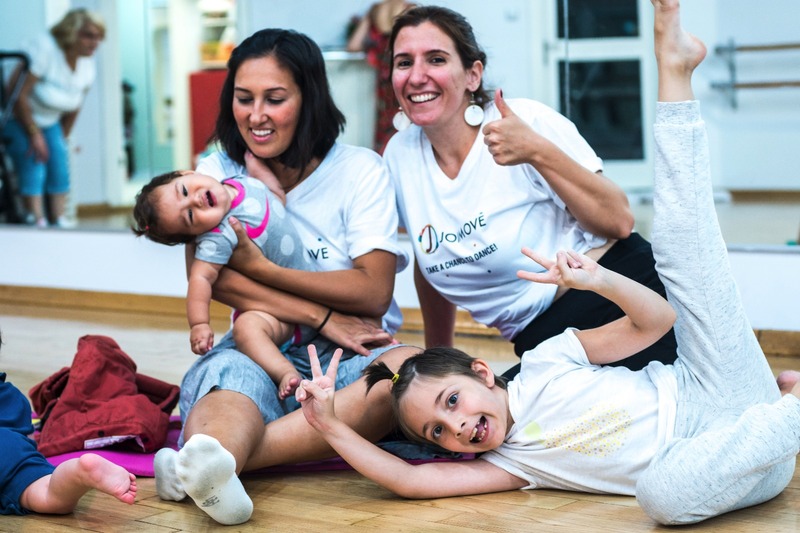 Joimove Instructor Ruta Lelyte said “Their dancing, giggles and the joy they shared all together were precious”. This beautiful gift was also part of the happiness project which created by Pozityvus Dienoraštis took place in Vilkės Namai. Their goal is to collect 1000 positive stories and reflect more happiness the world needs. We are delighted that our award winning Joimove Babies was selected as positive movement. 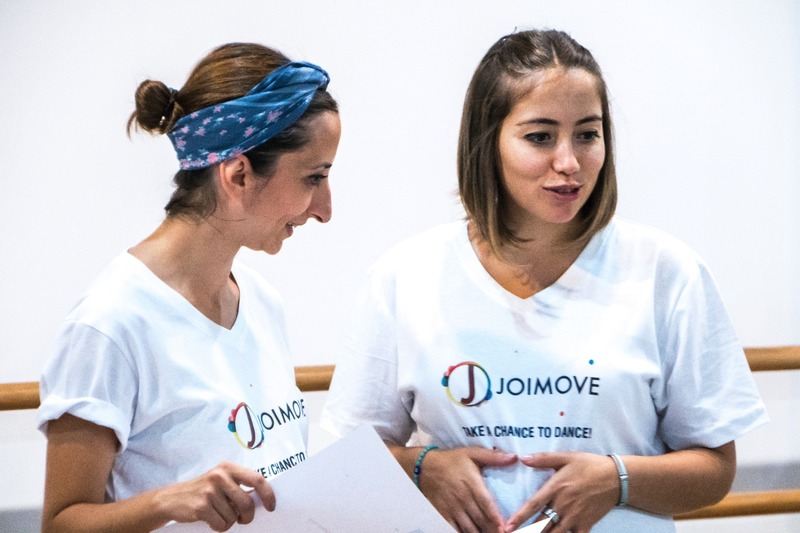 Vanessa Leamy Corsini the representative of Joimove Italy, has recently graduated from Joimove Ladies Instructor Training Program. We would like to congratulate her and share her story with you! “Dance has always been part of my life since I was a child. I trained professionally as a ballet dancer in Florence, Italy. I have explored different dance styles such as flamenco, contemporary, jazz and folklore. Having in recent years discovered Argentine tango I have devoted myself to use the power of social dancing to bring people together and build connections. 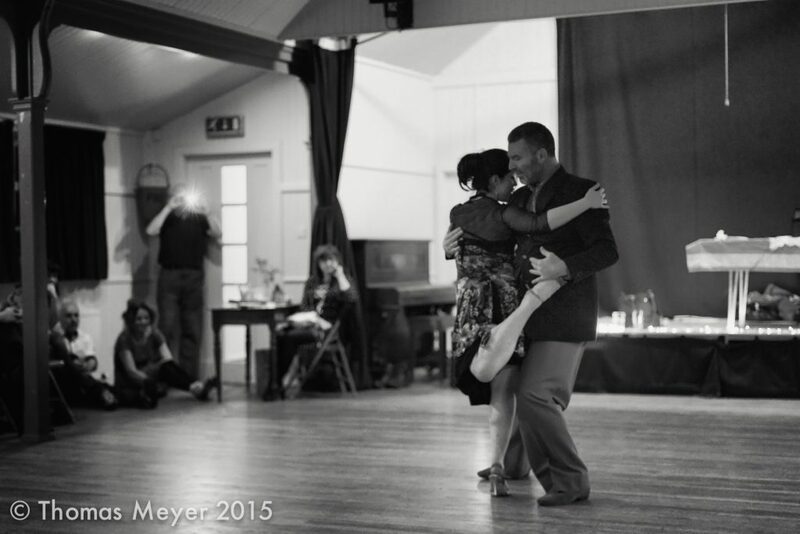 I currently reside in Glasgow, Scotland where I founded Glasgow Tango Collective and now I am teaching, performing and developing the tango community in Glasgow and across Scotland. Dancing has always been pivotal to my happiness. Discovering Joimove and being part of this amazing team is allowing me to celebrate life. I look forward to share my love of dancing with babies, families and individuals from all backgrounds. Selen’s Yilmaz positive attitude and generous spirit, combined with a great network of support and expert training has made my transition into becoming a Joimove leader! I am now completing my training of Joimove babies, kids, ladies and friends programs. I am getting excited to deliver classes and events in Glasgow and across Scotland and also becoming the Joimove representative for Italy. Representative of Joimove Italy, Certified Joimove Ladies Instructor, Dancer, Tango Master, Founder of Glasgow Tango Collective and Milonga Del Corazon. Keyifli bir ebeveynlik mümkün mü? Diyelim ki gerçekten farkında olarak bebeğimizle bir andan keyif aldık, işte “o” duygu sürdürülebilir mi? Özellikle uykusuzluk, yapılması gereken işler, anne baba olmanın getirdiği kaygılar, ve belki de yaşamımızdaki rol değişimleri gözönüne alındığında, keyifli ebeveynlik ütopik bir tezat gibi geliyor kulağa, öyle değil mi? Ebeveynliği daimi bir sınama veya iş gibi değil, keyif de alabildiğimiz, farkında anlar ile güçlenen bir yolculuk olarak tecrübe etmek ve dengede bir yaşam aslında mümkün. Hem de ilk aylardan itibaren… Bu dengede hali destekleyen temel bir uygulama ise bebekgiyme. Öyle ki, hem bebekler, hem ebeveynleri bu uygulamadan bedensel ve ruhsal olarak beslenebiliyorlar. Bağlandıkça özgürleşiyorlar, özgürleştikçe “keyif” faktoru hayalden gerçeğe dönüşüyor. Bebeklerini giyerek dans etmeyi denediklerinde ise bildiğimiz anlamıyla tüm ebeveynlik algısı tekdüze bir sorumluluktan çok, anda olduğumuz, yorgunken dahi gülümseyebildiğimiz ve keyif alabildiğimiz varoluşsal bir hale dönüşebiliyor. Nasıl mı? Dünyada tek Bebeklerle Dans Güvenlik ve Sertifika Programının yaratıcısı olan Joimove’u 2012’den bu yana Türkiye’deki ailelere ulaştırmaktan gurur duyuyoruz. Uzman kadroumuz ve sertifikalı eğitmenlerimize Joimove üzerinden ulaşabilirsiniz. Ruhu ve bedeni besleyen dokunuş, her bireyin temel ihtiyaclarındandır… Bu dünyaya henüz katılmış minik bir insan ve ailesi için ise, dokunuş, en elzem iletişim ve bağlanma yollarından biridir. Daha fazla dokunuş ile beslenen bebeklerin (premature ve özel ihtiyacı olan bebekler dahil olmak üzere) bağışıklık sistemleri ve gelişimlerinin olumlu etkilendiği artık bilimsel bir gerçektir. Literature bu konuda ilk geçen örneklerden biri ise 1938 yılında New York’taki Belleuve Hastanesi Çocuk Kliniği’nde görülmüştür. Klinikte ağlayan her hasta bebeğin personel tarafından kucağa alınmasını şart koyan hastane kayıtlarına gore sadece bir yıl içinde klinikteki bebek ölüm oranı %35’ten %10’un altına düşmüştü. 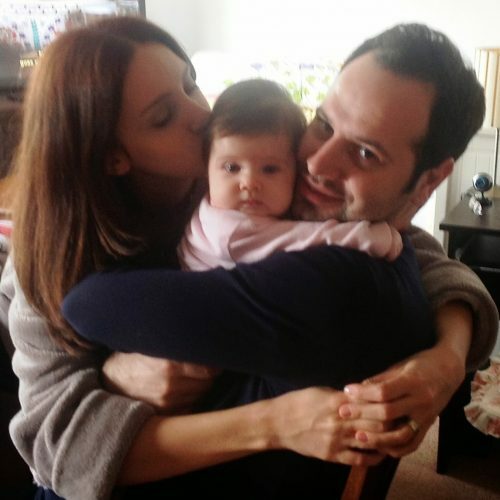 Bu ilk verilerin ardından, özellikle ABD’deki bebek yoğun bakım ünitelerinde “Kanguru Bakım” denilen ebeveynin veya sağlık personelinin bebek ile ten tene temas sağlaması ve annenin bebeği emzirebilmesi/ya da göğsünde iken emzirmeyi simule ederek ten teması ile biberonun sunulması yaygınlaşmıştı. Güvenli bağlılık ve aileiçi şefkatli iletişim ile toplumsal şiddetsizliği hedefleyen Attachment Parenting /Doğal Ebeveynlik uygulamalarında da dokunuş ve temas çok büyük önem taşır. 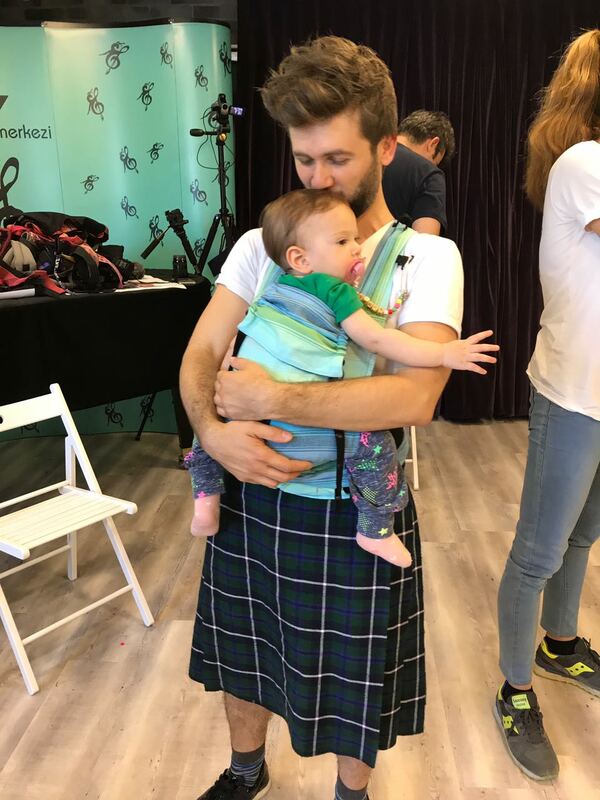 Öyle ki, bebekgiyme/babywearing ile faydaları bilimsel olarak kanıtlanmış bu besleyici dokunuşu sağlamak, bebeklerimizi taşırken dans ile iletişim kurmamız ve ebeveyn olarak da “keyif alabilmemiz”, şablondışı bir sezgisel ebeveynlik modeli olan Attachment Parenting’in sekiz yol gösterici prensibinden en az üçünü aynı anda karşılamaktadır. Bu prensipler, bebekgiyme, şefkatli dokunuş ve dengede yaşam prensipleridir. Bu yazıda attachment parenting’de anahtar rolü olan ebeveyn-bebek arasındaki güvenli bağlılığı ve dolayısıyla aileiçi farkındalığımızı artıran bebekgiyme prensibi ekseninde örneklere kısaca değindik. Bebeğimizi kucakta veya Joimove uluslararası akımındaki gibi güvenli bir taşıyıcıda taşırken yani bebeğimizi “giyerken” ve dans ederken, ebeveyn-bebek arasındaki güvenli bağlılığı bebeğimizle bedensel ve göz temasımız ile , ve dengede hisseden, yorgun olsa dahi yüzünde doğal bir gülümseme olan, bebeğiyle bağını desteklerken bir topluluğun parçası olduğunu da tecrübe eden bir ebeveyn olarak sayısız şekilde destekliyor oluruz. İki çocuk annesi Dr. Aslıhan Onaran, Amerikan “Uluslararası Doğal Ebeveynlik Kurumu”nun Türkiye Platformu Kurucu-Lideridir. 15 yıl boyunca Amerika’da önde gelen (ivy league) üniversitelerde öğretim üyesi ve Türk Amerikan toplumunda sivil toplum lideri olarak görev almış ve bu sürede, pozitif ebeveynlik, çift dilli eğitim, şiddetsiz iletişim becerileri, farkındalık ve bebek işaret dili konularına yönelmiş, Amerika’da alanında pekçok ilke liderlik etmiştir. ABD’de ve Türkiye’de onde gelen universitelerden toplam 4 diploma sahibi olan Dr. Onaran’ın, ABD’deki Brown Üniversitesi’ndeki burslu doktora derecesine ek olarak Harvard Üniversitesi ve UC Berkeley’den pozitif psikoloji alanında sertifikaları, ABD’den yoga-meditasyon eğitmenliği sertifikası ile pekçok uluslararası yayını bulunmaktadır. Doğal ve Pozitif Ebeveynlik/Pozitif Disiplin, İletişim, Çift Dilli Eğitim, Farkındalık ve Ülke Değişimi adaptasyonu konularında kurumlara, ailelere ve çocuklara özel eğitimler ve danışmanlık sunmaktadır. i Ashley Montagu. Touching. New York: Harper and Row, 1986: 97-99.
ii 60 yıllık bilimsel araştırma tarihçesi olan bağlılık kuramı/attachment theory konusunda detaylı bilgi için bu kaynakları inceleyebilirsiniz: Ainsworth, M., & Bell, S. M. (1970). “Attachment, exploration, and separation.” Child Development, 49-67. Bowlby, J. (1958). The nature of the child’s ties to his mother. International Journal of Psychoanalysis, 350-371. Cassidy, J. Jones, Shaver. “Contributions of Attachment Theory and Research: A Framework for Future Research, Translation and Policy.” Development and Psychopathology 402 (2013): 1415-1434. Perry, B., & Dobson, C. (2010). The role of healthy relational interactions in buffering the impact of childhood trauma. E. Gil,Working with Children to Heal Interpersonal Trauma: The Power of Play. New York: Guilford Press. Siegel, D. (2012). The Developing Mind: How Relationships and the Brain Interact to Shape Who We Are. New York: The Guilford Press.